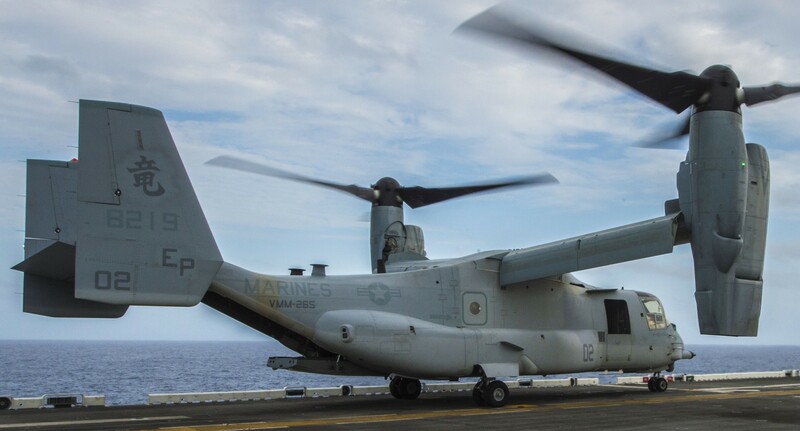 Marine Medium Helicopter Squadron 265 (HMM-265) was activated 30 Sep 1962 at Marine Corps Air Facility New River, NC as part of Marine Aircraft Group (MAG) 26, 2nd Marine Aircraft Wing. 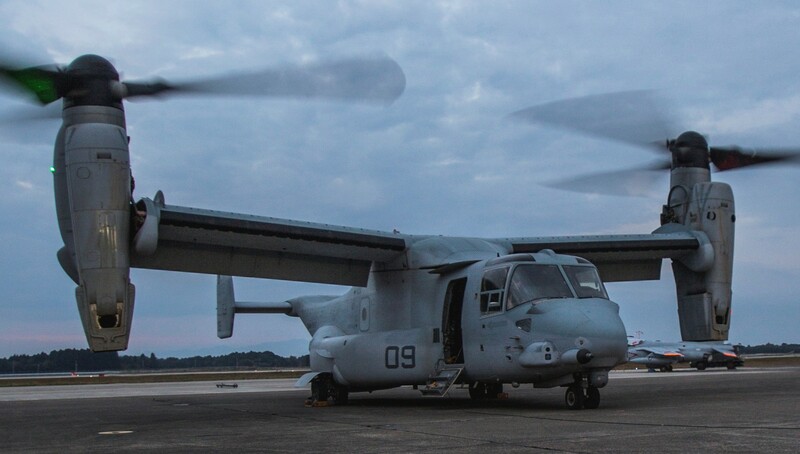 The Dragons deployed to Memphis, TN shortly thereafter in support of the Mississippi Crisis, a critical moment in the Civil Rights movement. 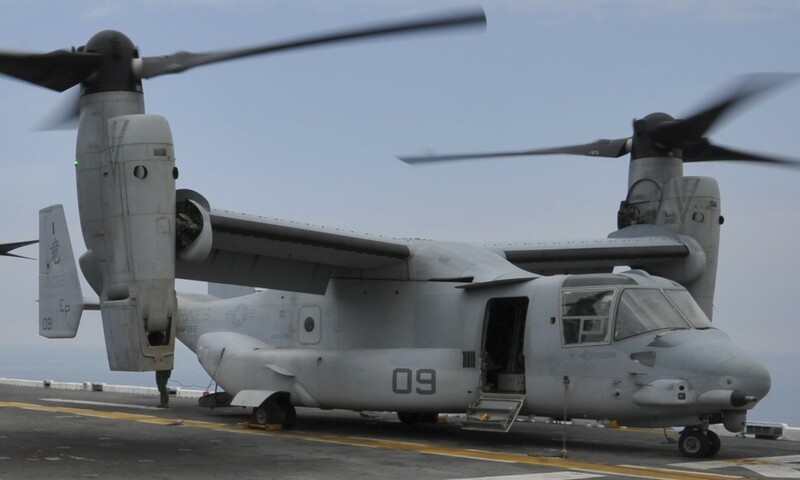 Upon returning, HMM-265 began a series of deployments testing new helicopter tactics. 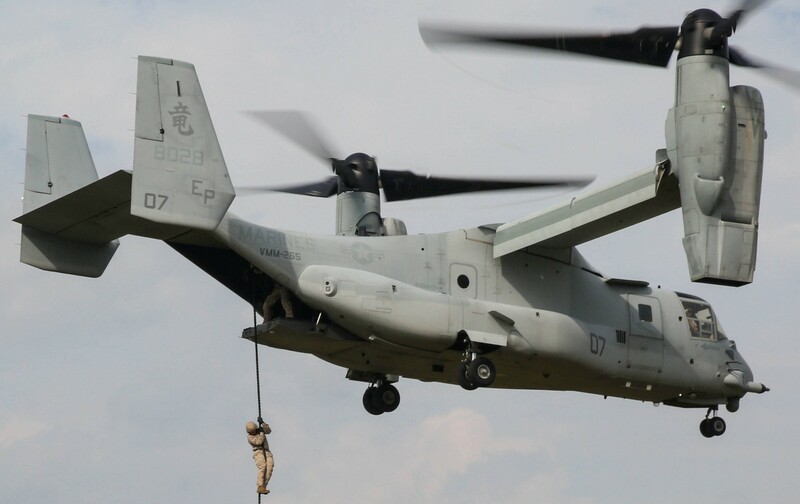 The culmination of these exercises was HMM-265’s demonstration of vertical envelopment at the 1964 New York World’s Fair. 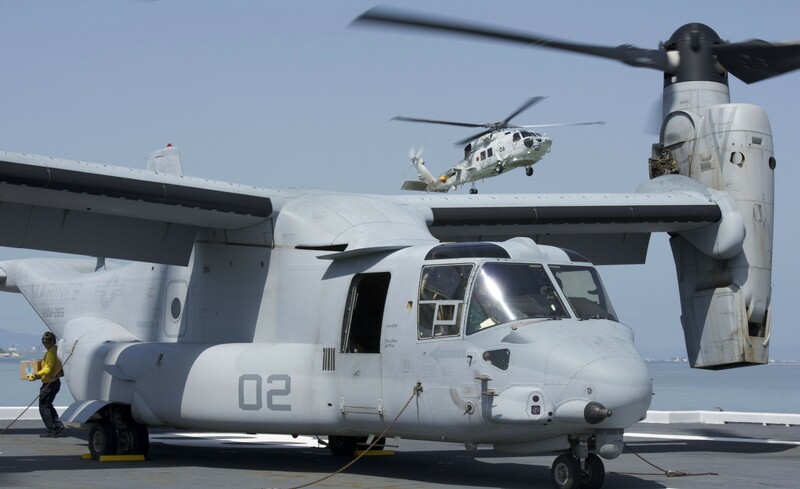 In June 1964, HMM-265 became the first Marine Corps squadron to transition from the Sikorsky UH-34 Seahorse to the Boeing Vertol CH-46 Sea Knight. 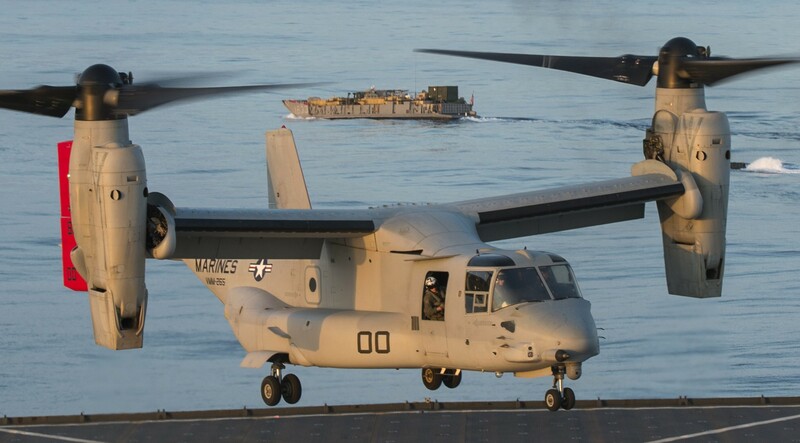 In April of 1966, HMM-265 departed Norfolk Naval Base aboard USS Boxer with twenty-two CH-46A aircraft for service in the Republic of Vietnam. 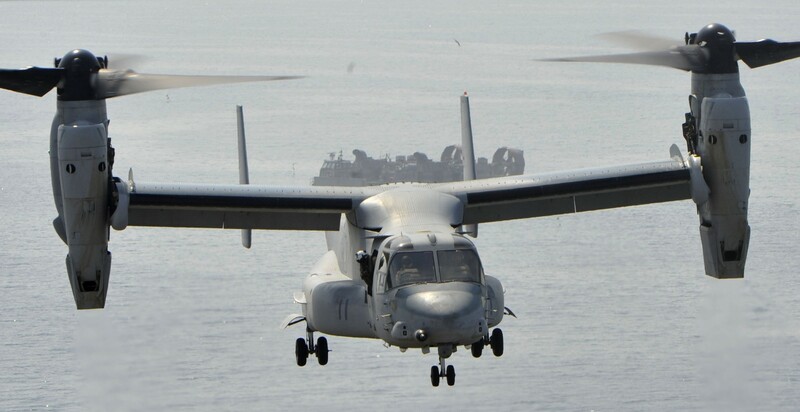 On 22 May 1966, the squadron arrived at Da Nang Harbor. 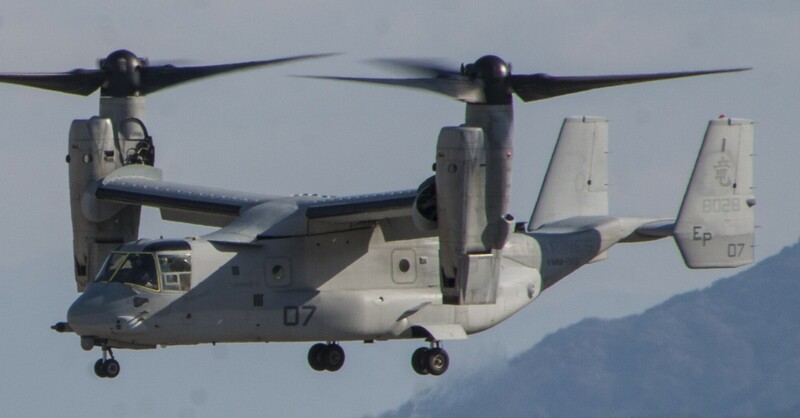 The Dragons off-loaded and took up residence at Marble Mountain Air Facility, and were assigned to MAG 16, 1st MAW. 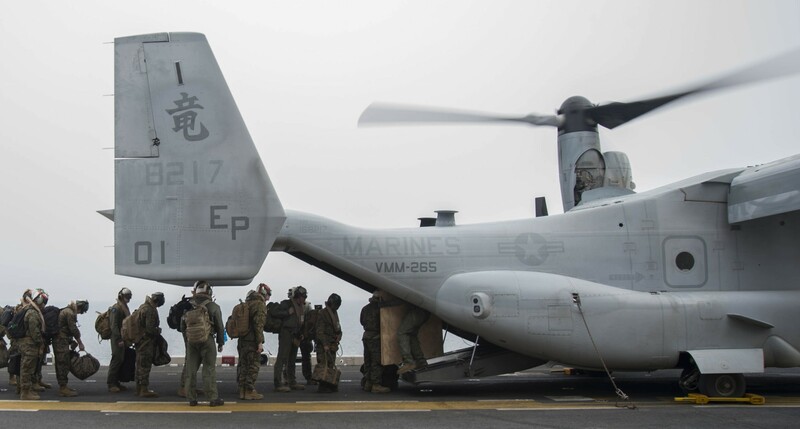 On a daily basis HMM-265 supported Marine operations in I Corps with Heliborne Assault, Raid, Casualty Evacuation (CASEVAC), Resupply, Emergency Extract, Recon Insert / Extract, Search and Rescue (SAR), Tactical Recovery of Aircraft and Personnel (TRAP), and other missions. 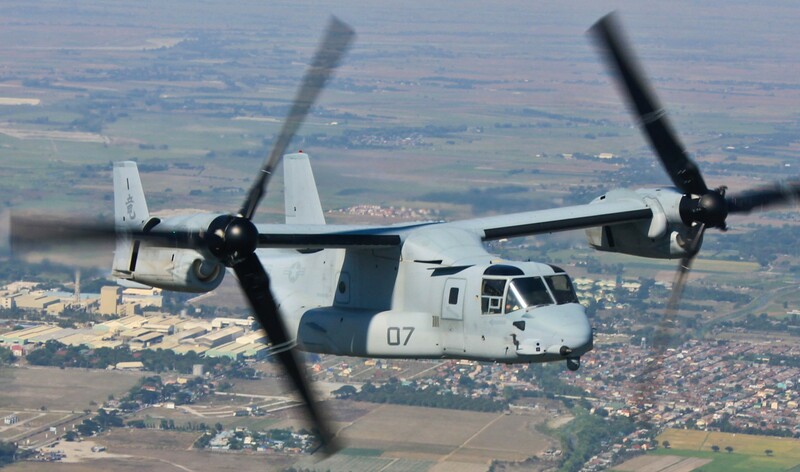 In July 1966, HMM-265 saw its first large operation, OPERATION HASTINGS. 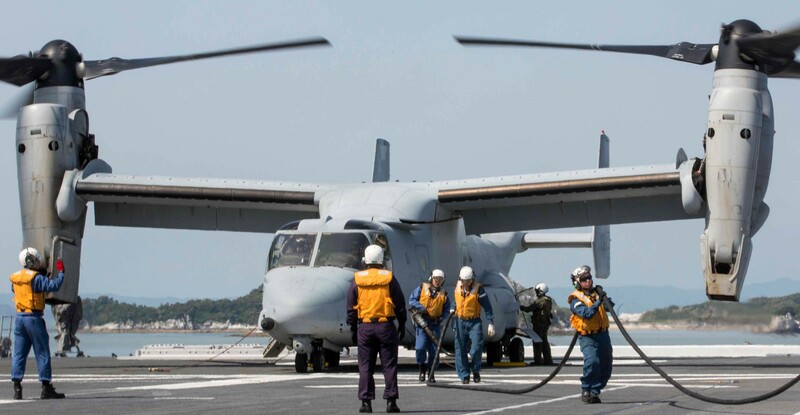 In July 1967, HMM-265 became the Special Landing Force (SLF) helicopter squadron embarked aboard Seventh Fleet Amphibious Ready Group ship USS Tripoli, and later USS Iwo Jima. As the SLF squadron, HMM-265 crews conducted heliborne search and destroy missions against the Viet Cong along the coast. 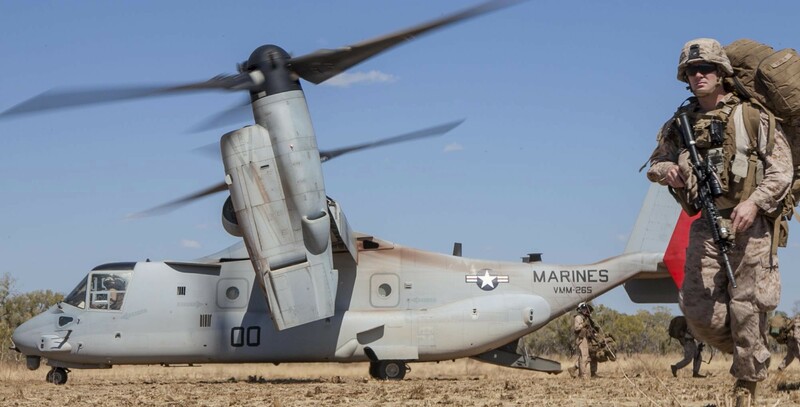 During this time, five major operations were conducted including BEAR CHAIN/FREMONT, BEACON GUIDE, KANGAROO KICK, BEACON GATE, and OPERATION COCHISE. 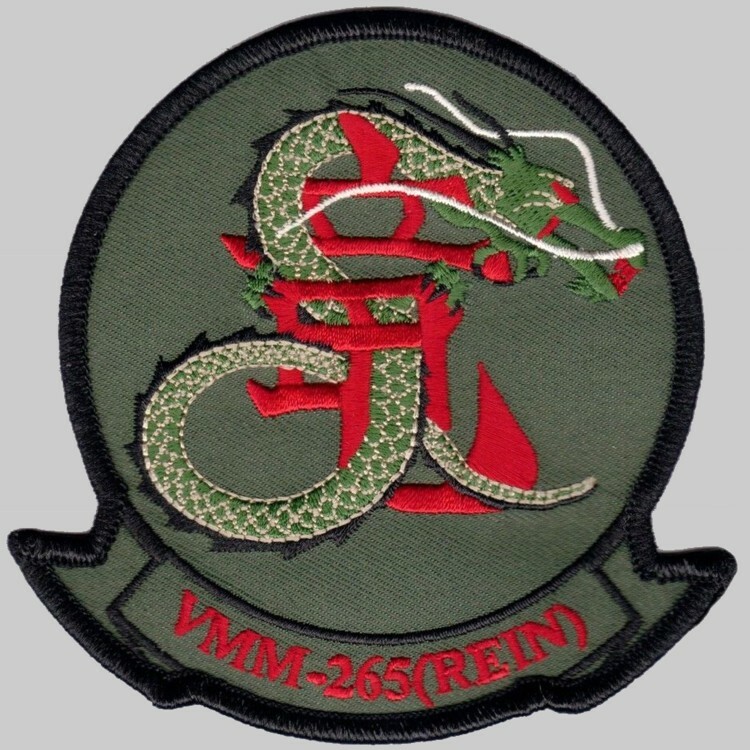 Throughout the Dragons 1966 – 1969 tour in the Republic of Vietnam, heroic actions of aircrews and individual acts of heroism were commonplace. 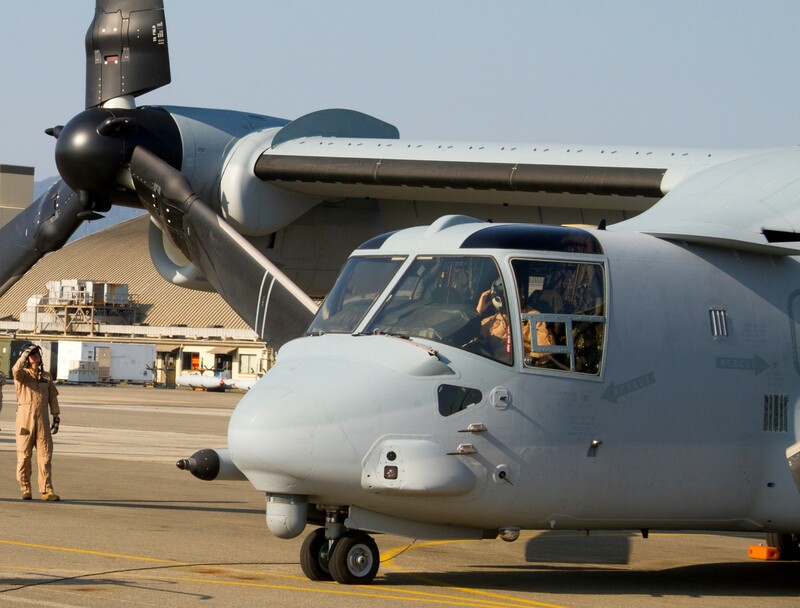 Ultimately, HMM-265 would lose twenty-seven pilots, crew chiefs and gunners to enemy fire. 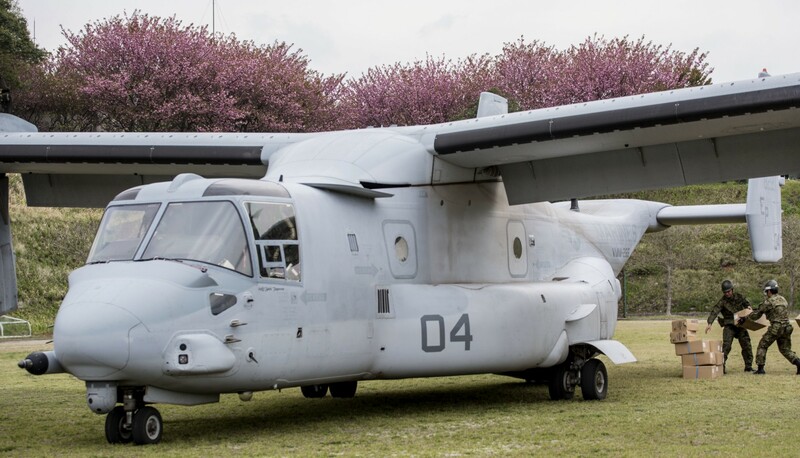 On 10 October 1969, HMM-265 was relocated to Okinawa, and subsequently relocated to Santa Ana, California and assigned to MAG 56. 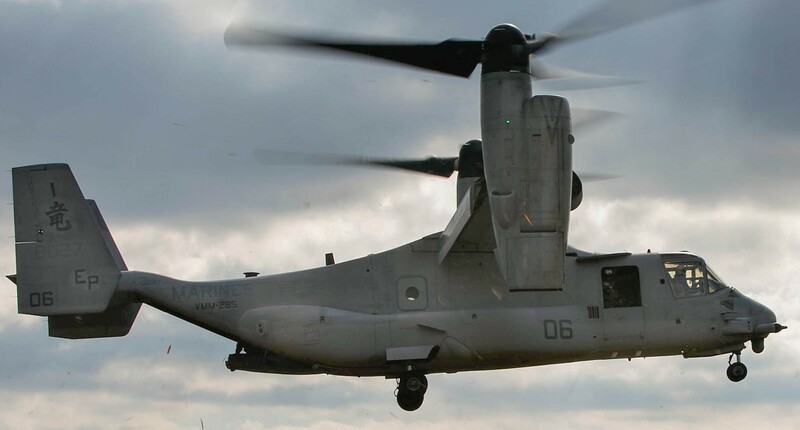 On 13 November 1970, HMM-265 was deactivated. 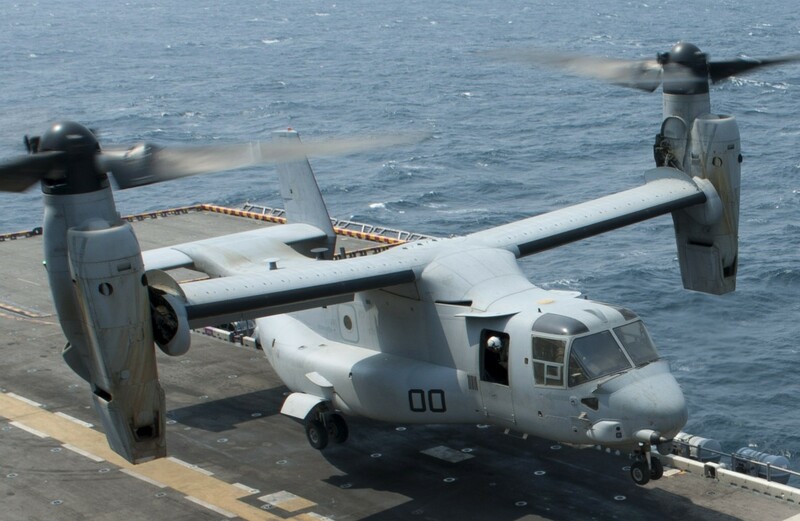 On 1 September 1977, HMM-265 was reactivated at MCAS Kanehoe Bay and assigned to MAG 24 under 1st Marine Expeditionary Brigade. 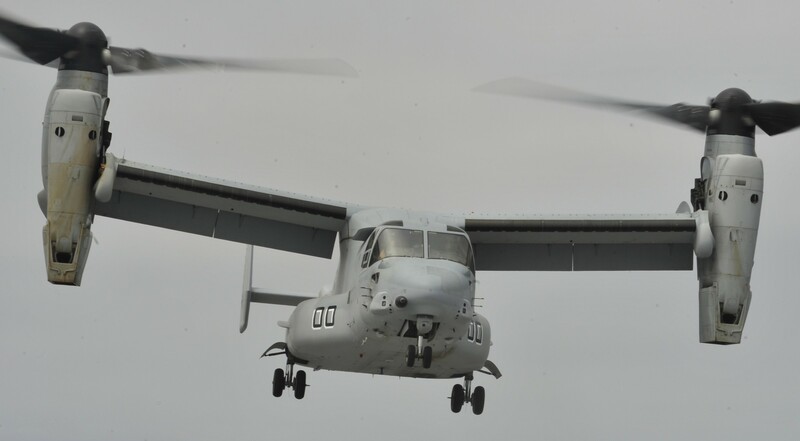 For seven consecutive years after reactivation, HMM-265 deployed to the Western Pacific (WESTPAC) participating in major amphibious exercises. 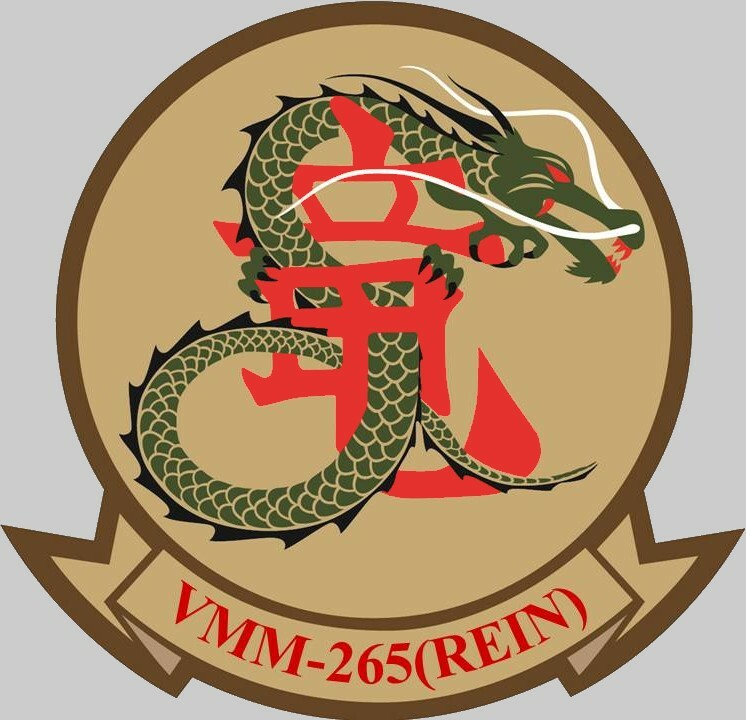 During their third WESTPAC deployment while aboard USS Tarawa, HMM-265(REIN) became the first to integrate AV-8B Harrier aircraft. 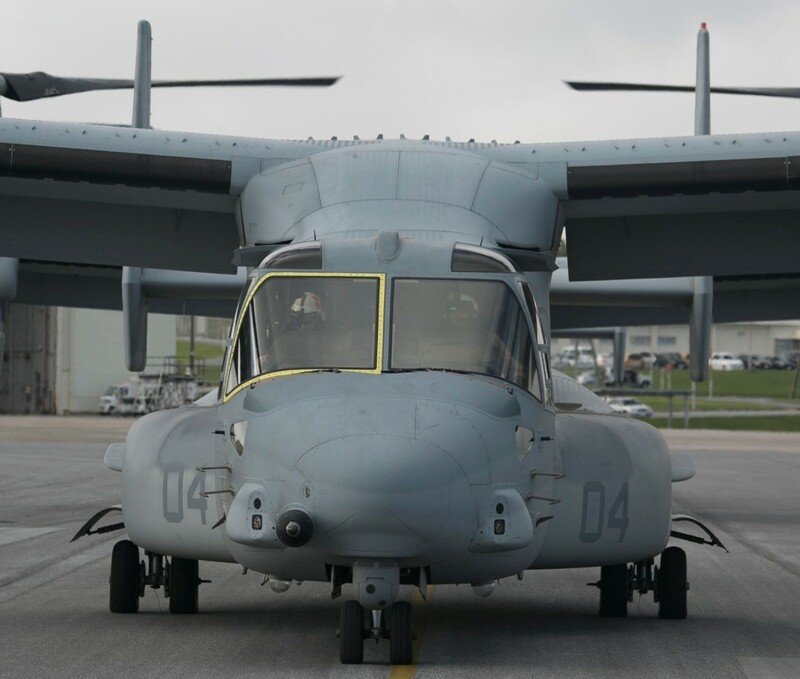 In February 1985, HMM-265 became the first MAG 24 squadron to participate in the Unit Deployment Program (UDP) to Okinawa, Japan. 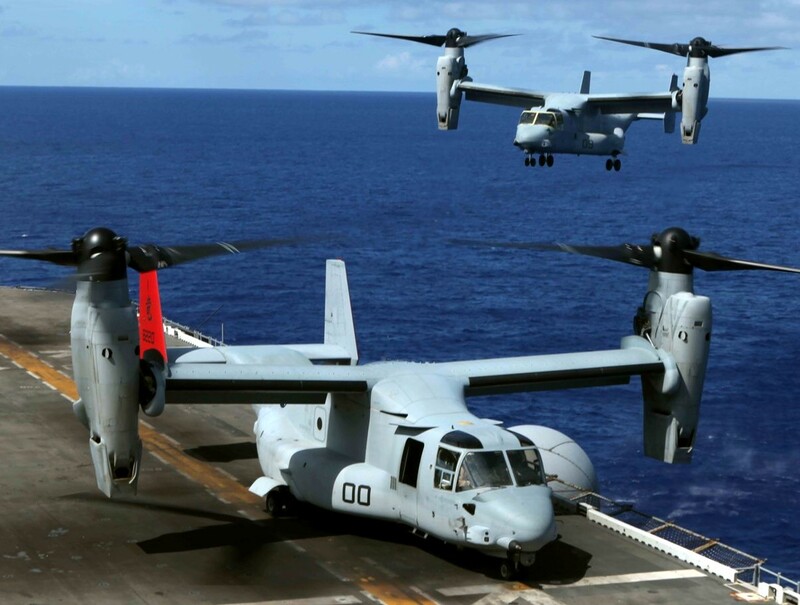 In December 1990, the Dragons deployed aboard USS Tripoli to the Persian Gulf in support of Operation DESERT SHIELD. 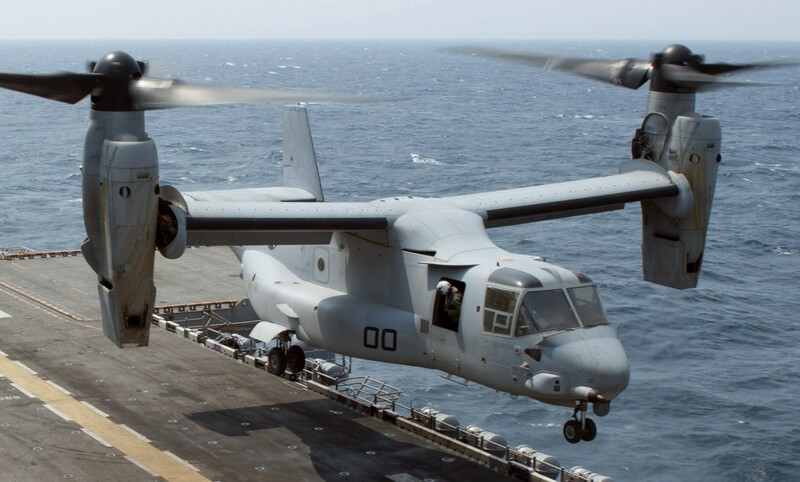 In January 1991, HMM-265 embarked USS Tarawa and supported Operation DESERT STORM. 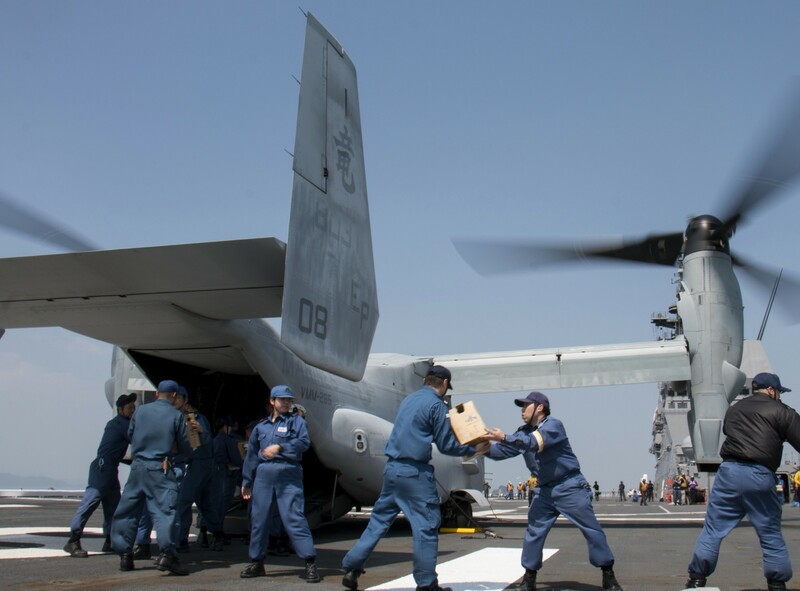 While returning, the Dragons diverted to Bangladesh for Humanitarian Assistance Disaster Relief (HADR) efforts during Operation SEA ANGEL. 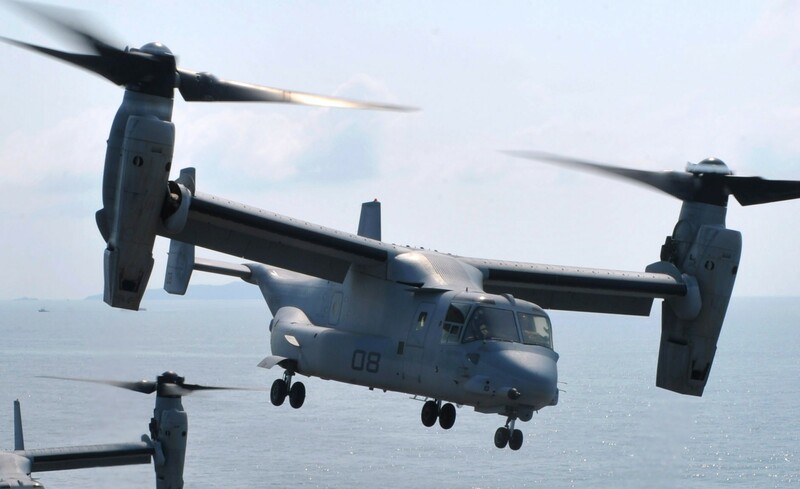 In June 1991, HMM-265 returned to Kanehoe Bay and resumed its role as a UDP squadron. 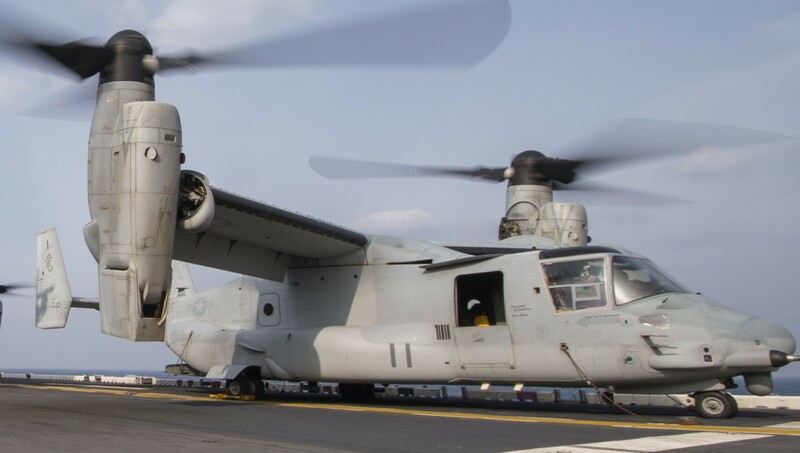 In July of 1992, HMM-265 was the first Marine helicopter squadron to return to Cambodia since 1975 in support of Joint Task Force Full Accounting. 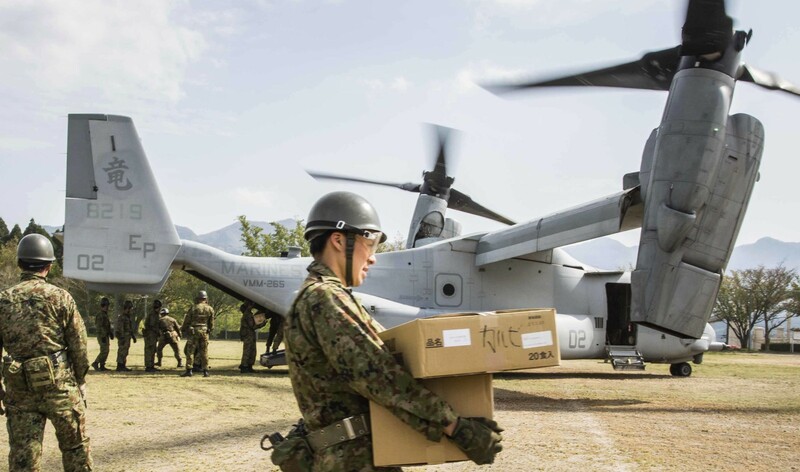 In September, after returning to Hawaii, the Dragons supported post-Typhoon Iniki humanitarian relief operations. 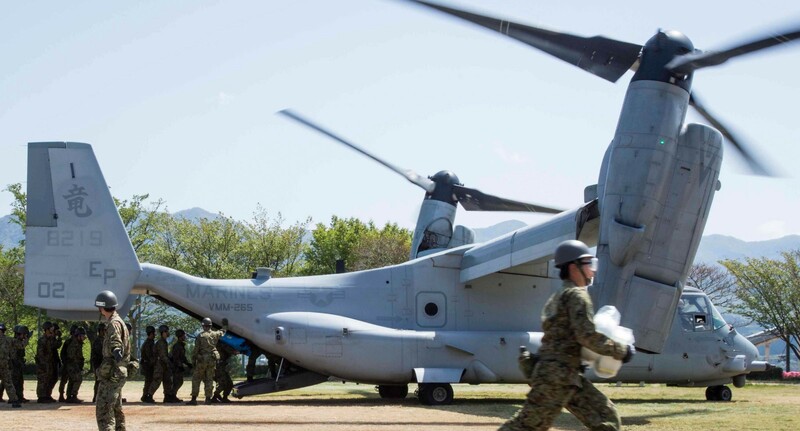 In July, HMM-265 returned to Okinawa and immediately sent a detachment to Korea in support of combined operations. 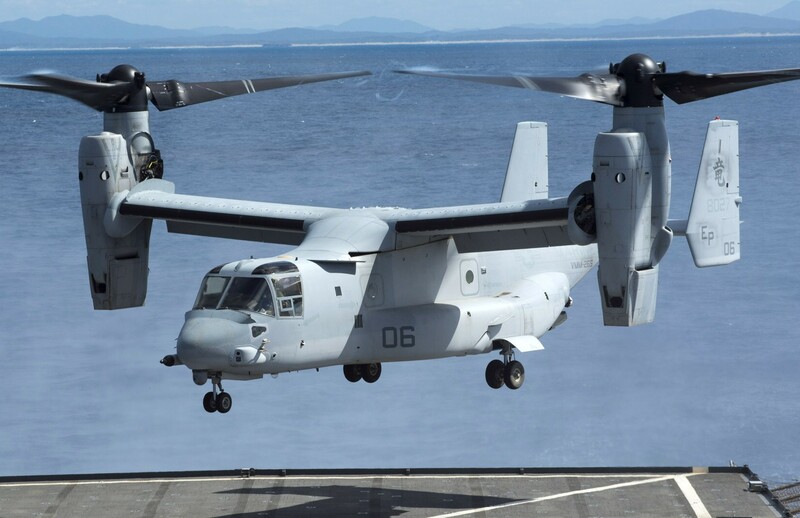 In September of 1993, the squadron participated in Fuji Warrior out of Yokota AB, Japan and conducted simultaneous operations in the Republic of the Philippines aboard USS Dubuque. 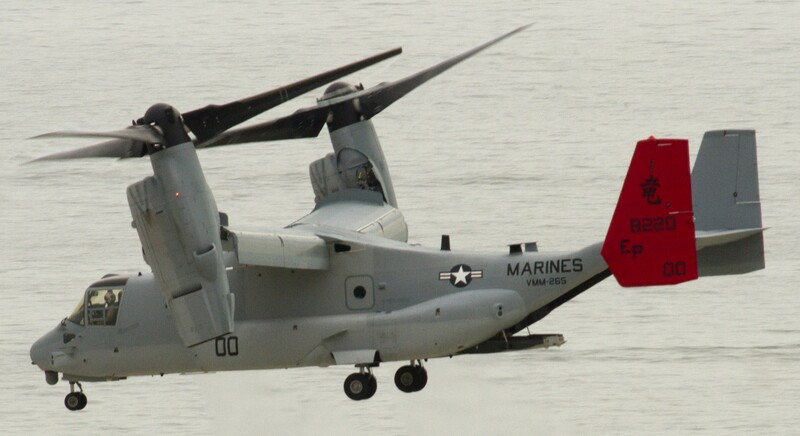 HMM-265 returned to Kanehoe Bay in January 1994. 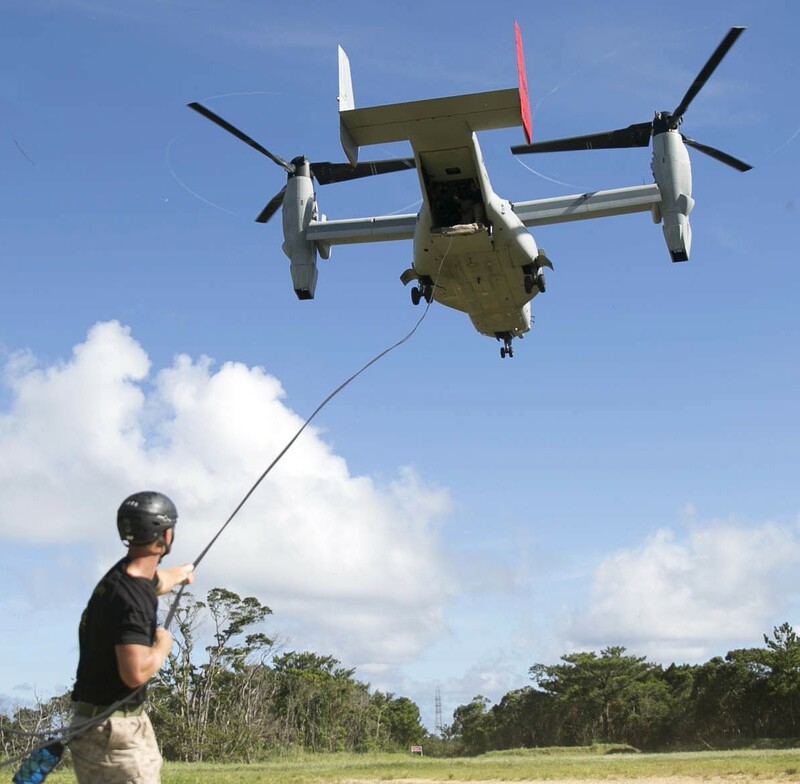 During their last year in Hawaii, the squadron embarked aboard USS Essex and supported 1st Battalion, 3rd Marines in the Pohakuloa Training Area. 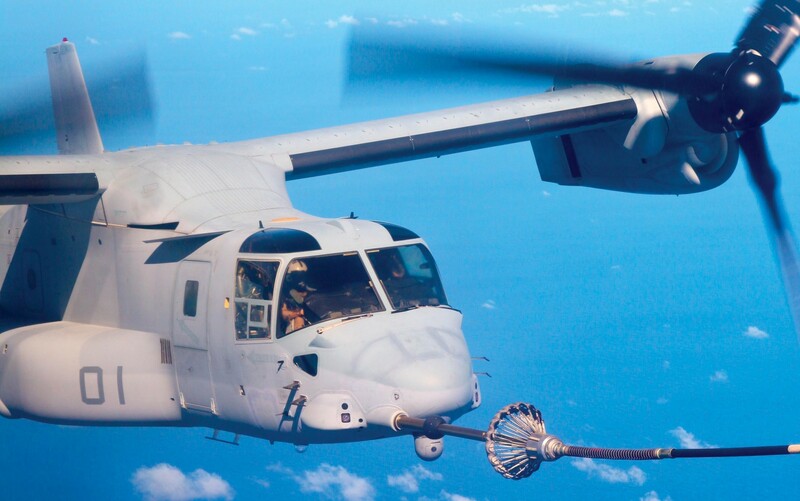 In January 1995, the Dragons left Hawaii to begin their final six months in the UDP cycle. 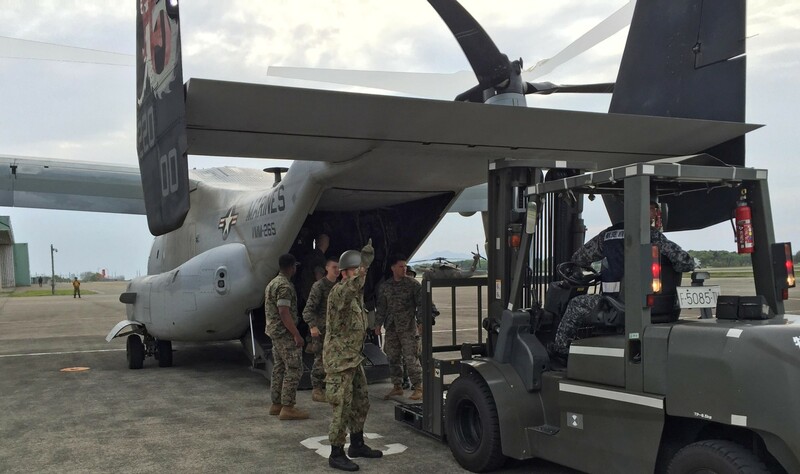 In July, MCAS Futenma, Okinawa became their permanent duty station. 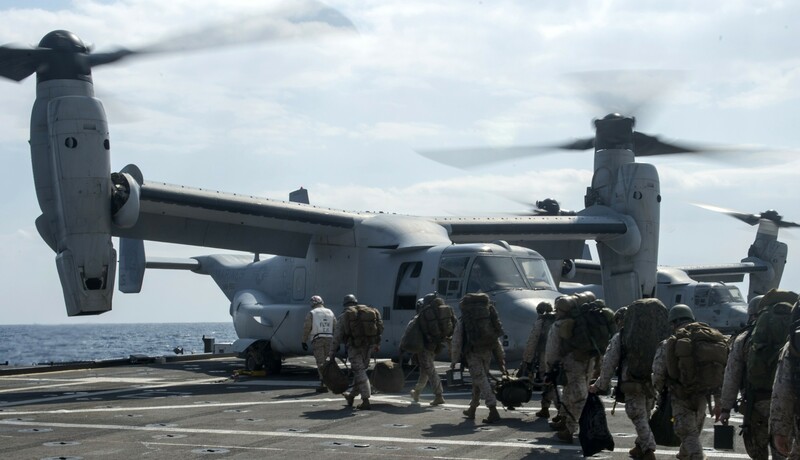 During 1995, the Dragons became the Aviation Combat Element (ACE) for 31st Marine Expeditionary Unit (MEU) Special Operations Capable (SOC). 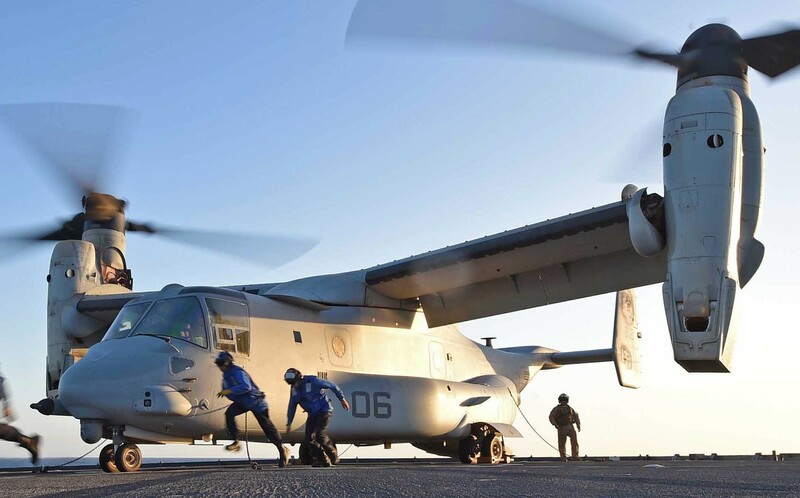 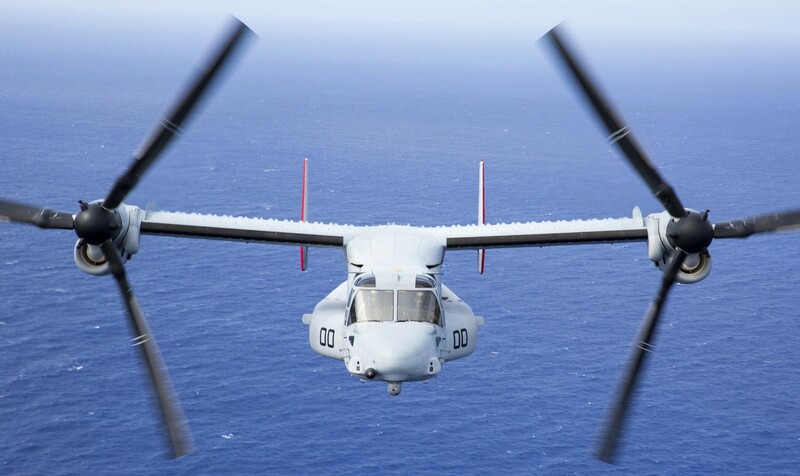 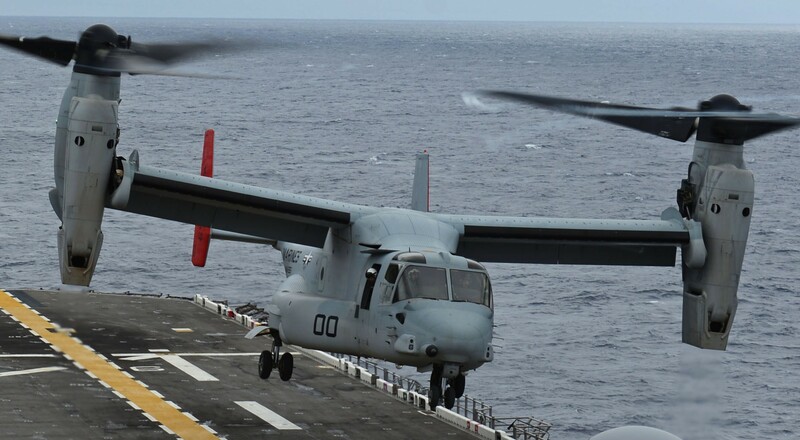 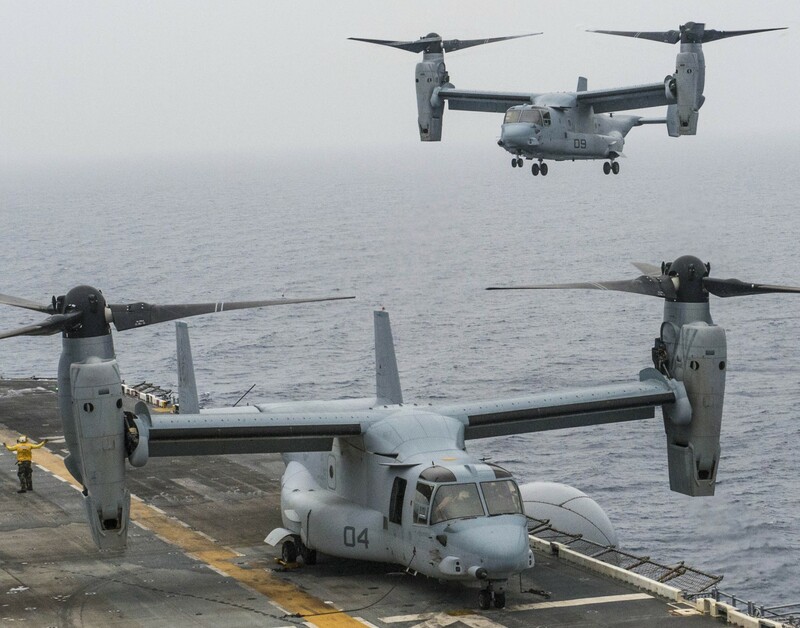 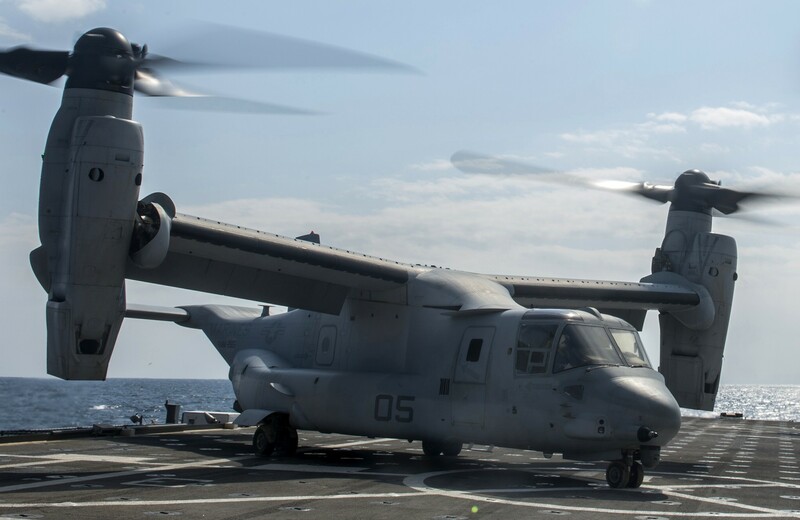 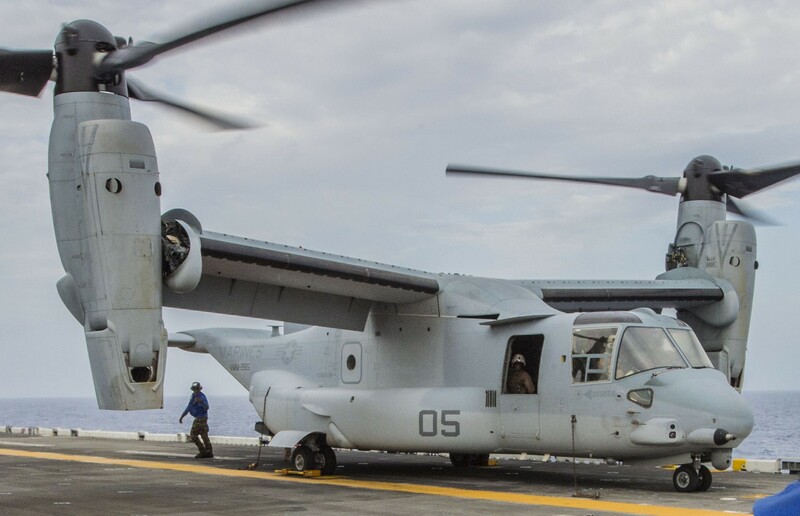 The squadron completed three cycles with 31st MEU (SOC) conducting numerous exercises aboard USS Belleau Wood, USS Dubuque, and USS New Orleans including a deployment to Vladivostok, Russia for Exercise Cooperation from the Sea. 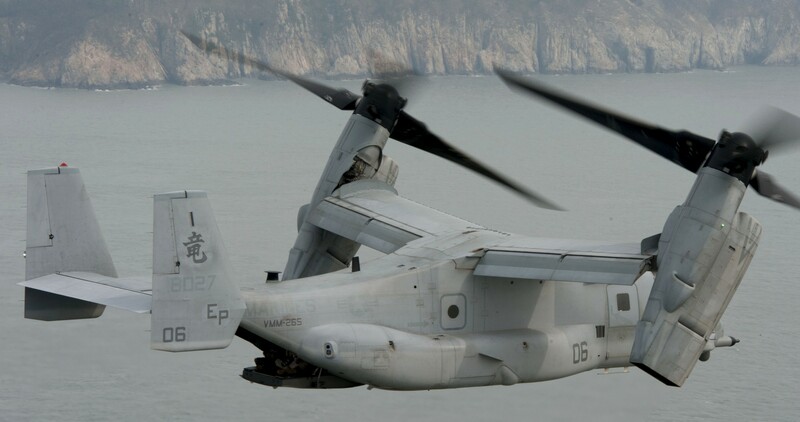 In August 1997, the Dragons deployed to Pohang, Republic of Korea for Ulchi Focus Lens. 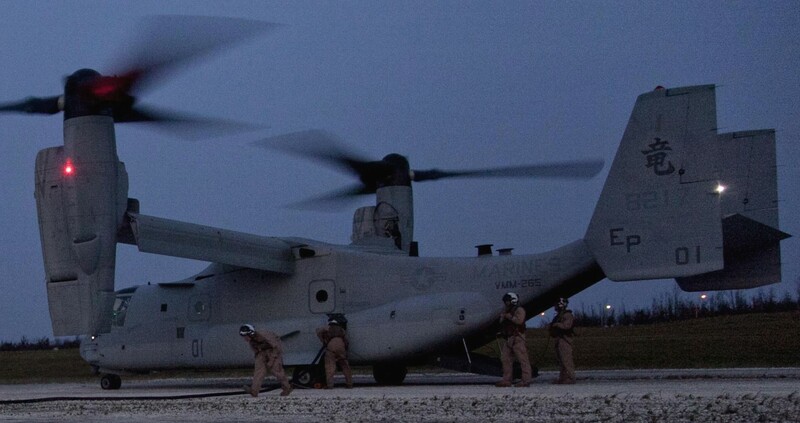 In December 1997, the Dragons participated in Exercise Beachcrest on Okinawa. 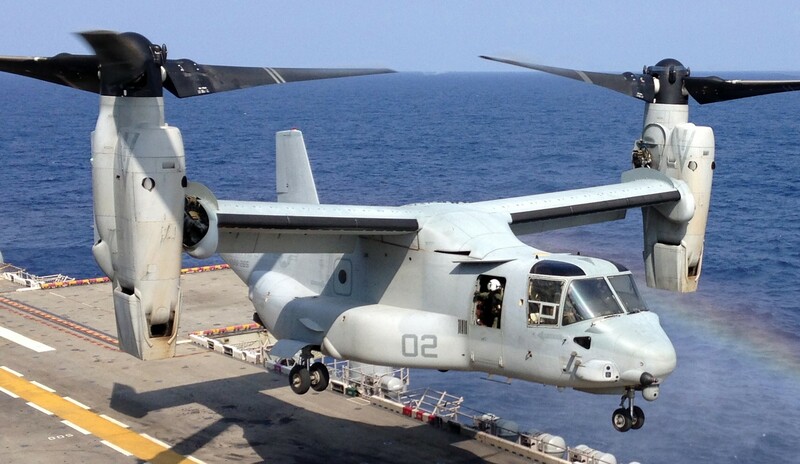 In November 1998, after assuming 31st MEU ACE, HMM-265 (REIN) was ordered to respond to tensions in the Persian Gulf. 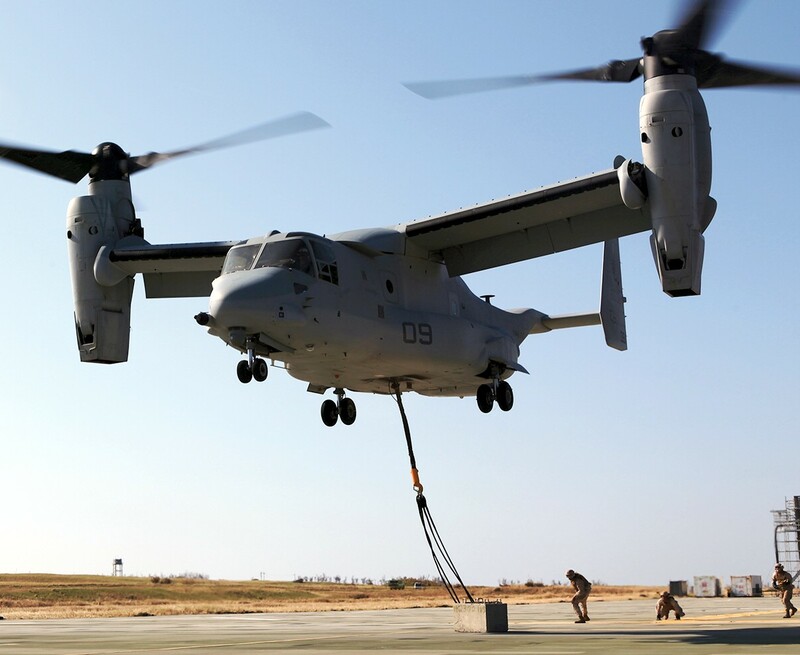 The Dragons supported Operations DESERT FOX, SUDDEN STORM, and ANVIL II in defense of Kuwait. 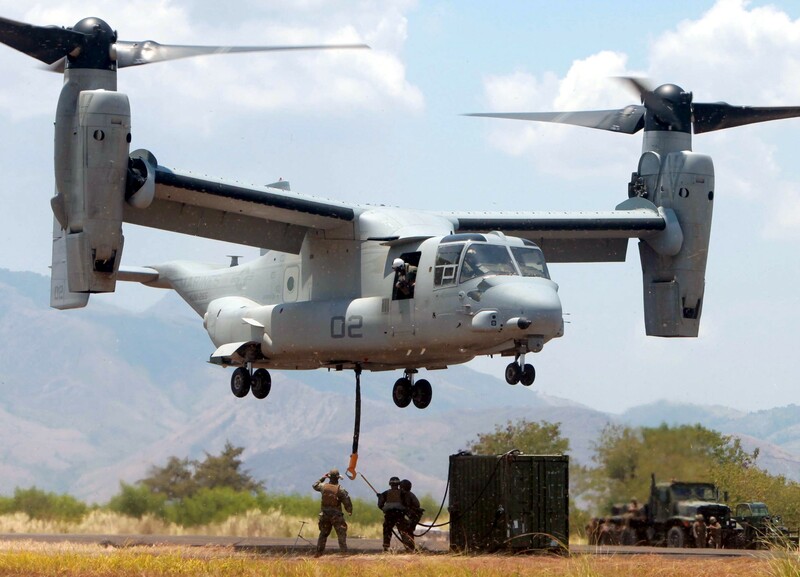 In September 1999, HMM-265 was called to support International Forces East Timor during humanitarian efforts. 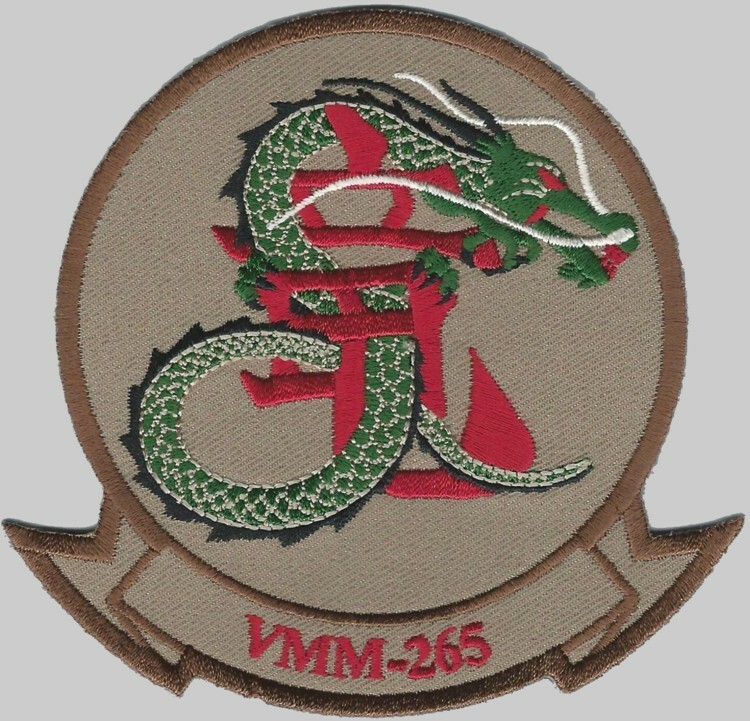 HMM-265 joined 31st MEU as its ACE again during January 2001. 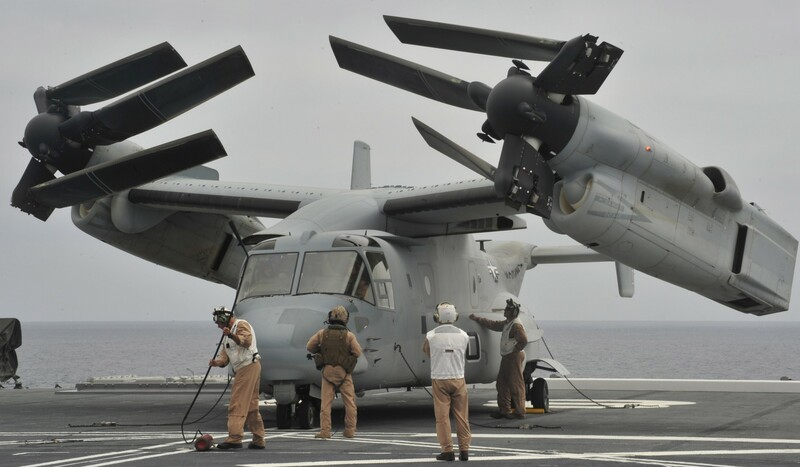 In October, 31st MEU / CPR 11 steamed to East Timor aboard USS Essex. 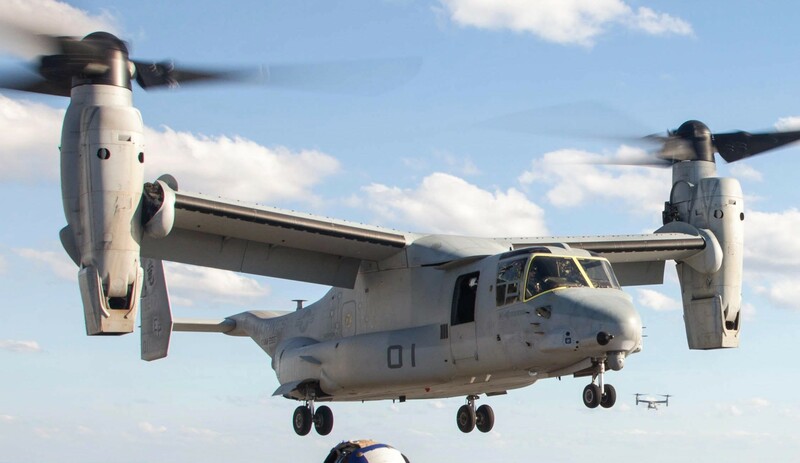 The ACE again provided critical humanitarian assistance in East Timor. 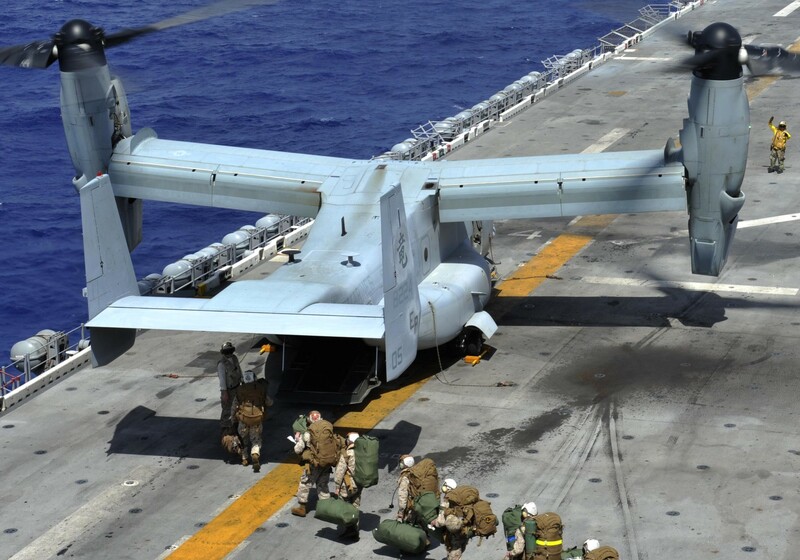 In Spring 2004, 31st MEU deployed for training exercises with South Korea and the Republic of the Philippines. 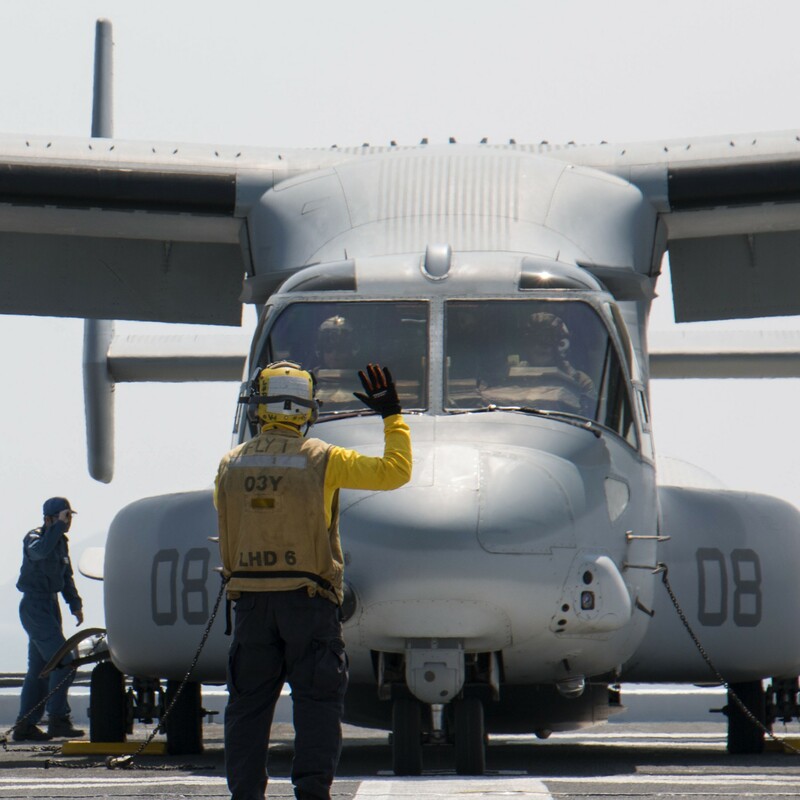 In August, the Dragons headed to the Persian Gulf for training in Kuwait. 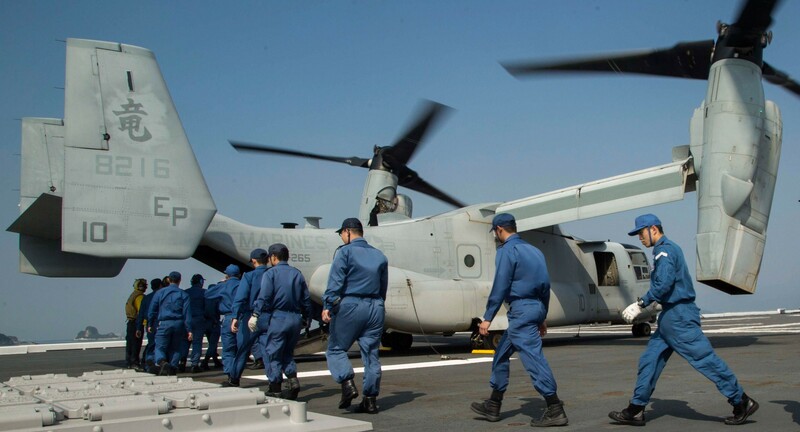 Upon arrival in theater, they were further tasked with supporting I Marine Expeditionary Force during Operation IRAQI FREEDOM II. 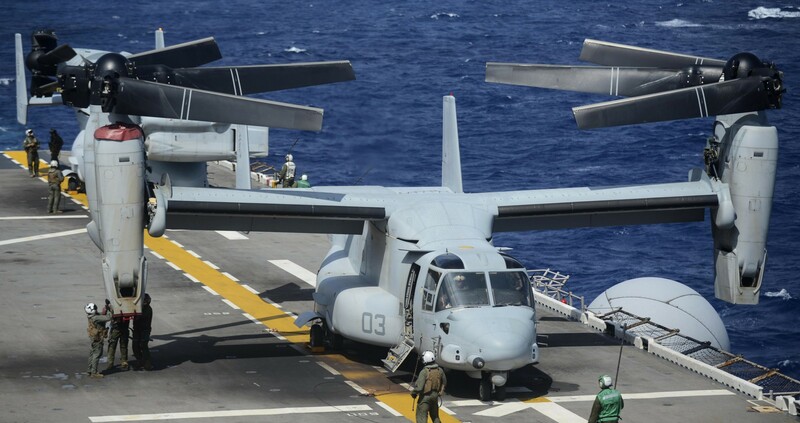 The Dragons again became 31st MEU’s ACE in July 2006. 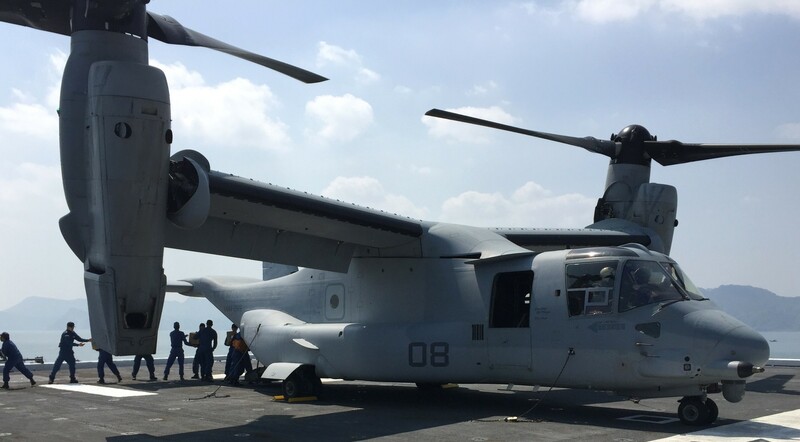 During Fall 2006, they completed exercises in the Republic of the Philippines and provided air and ground support for the visit of the President of the United States to Jakarta, Indonesia. 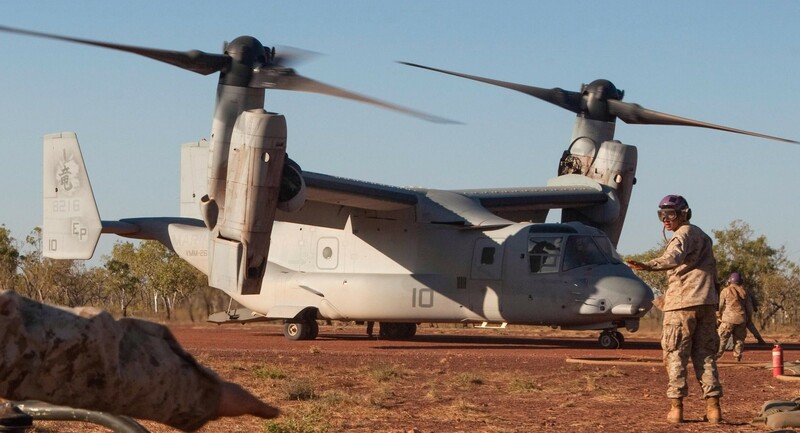 The Dragons deployed to Australia for Exercise Talisman Sabre in May 2007, and completed the Fall and Spring cycles with deployments to the Republic of the Philippines for the Philippine Bilateral Exercise (PHIBLEX) and Talon Vision 2007, Republic of Korea for Korean Incremental Training Program (KITP) 2007, Balikatan 2008, and the Kingdom of Cambodia for Civil/Military Operations. 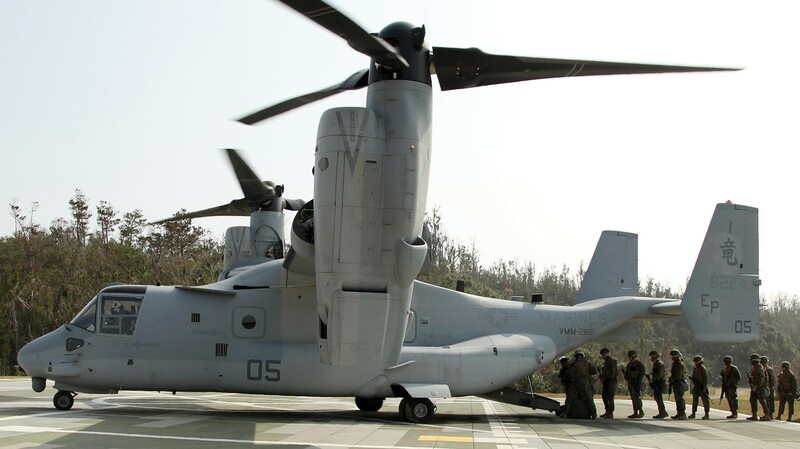 HMM-265 (REIN) finished the Spring cycle with a deployment to the Kingdom of Thailand for Exercise Cobra Gold in May 2008 and Operation CARING RESPONSE off of the coast of Myanmar in June 2008. 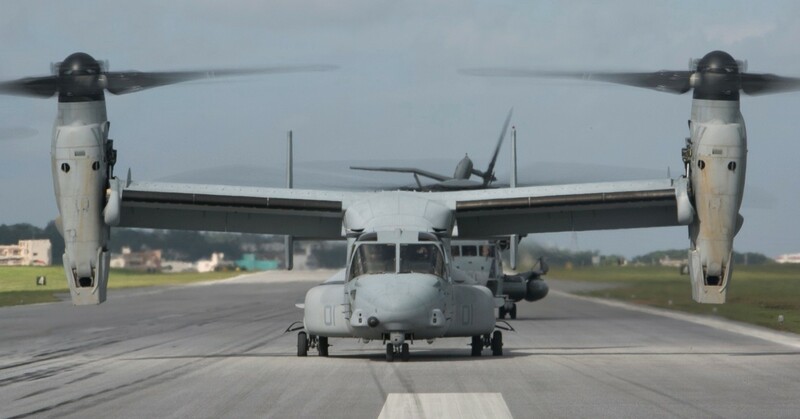 During Fall 2008 through Spring 2009, HMM-265 deployed with MAG 36 in support of Exercises Talon Vision, the Republic of the Philippines; Cobra Gold, Thailand; and Key Resolve, Korea. 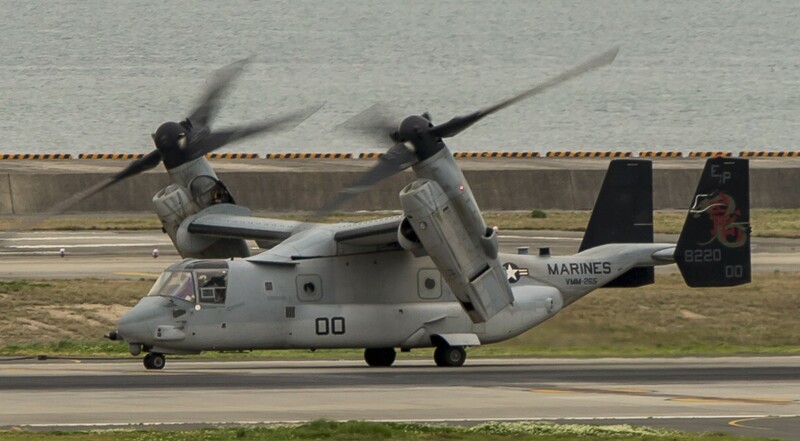 The Dragons also supported Exercises Ryukyu Warrior and Yama Sakura on Okinawa. 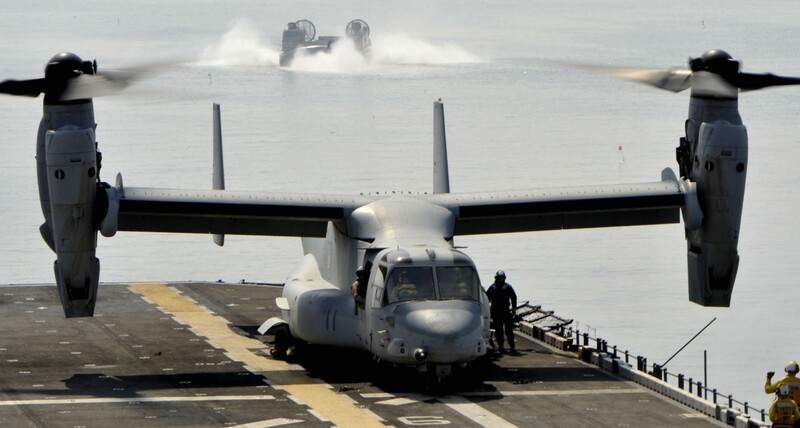 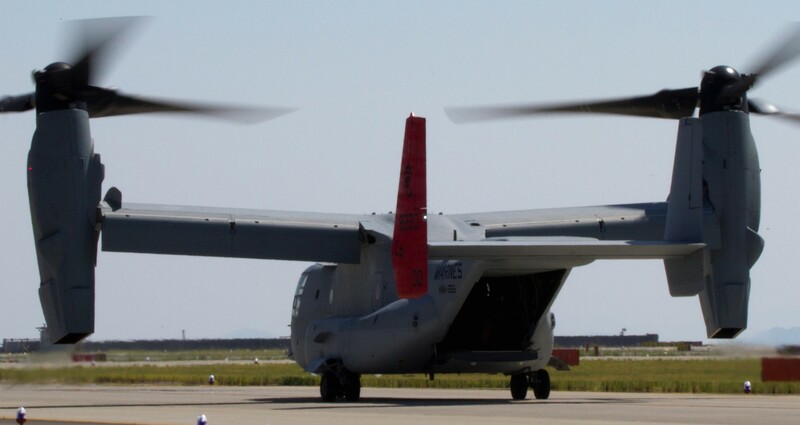 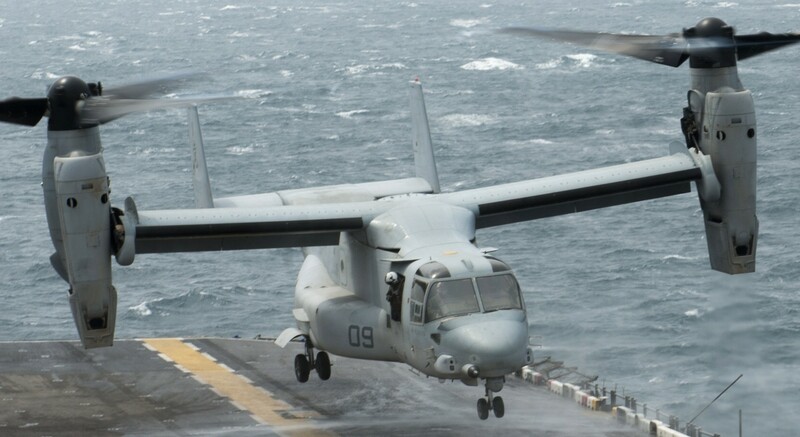 In August 2009, HMM-265(REIN) rejoined 31st MEU. 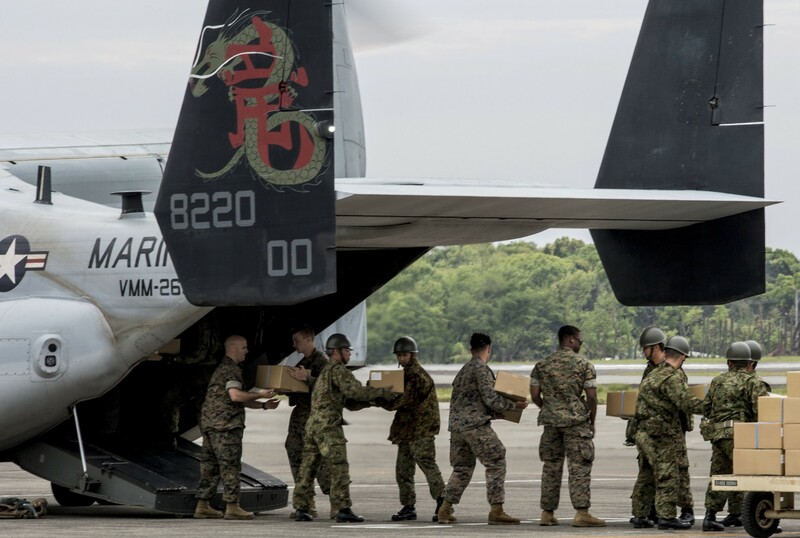 On short notice, the Dragons were called to support Humanitarian Assistance and Disaster Relief (HADR) operations in the Republic of the Philippines in the aftermath of a typhoon. 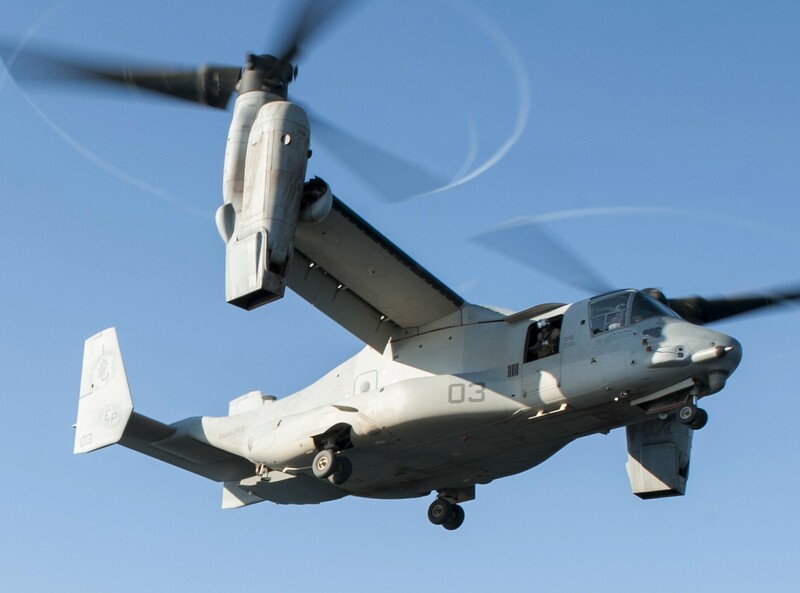 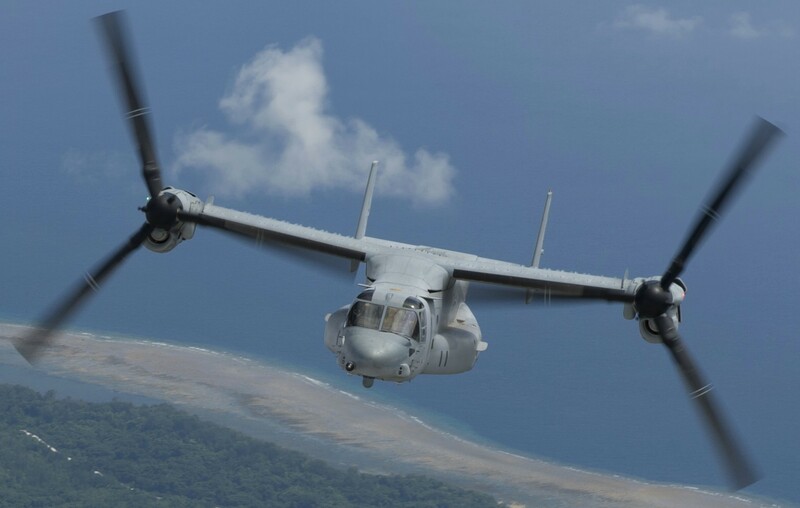 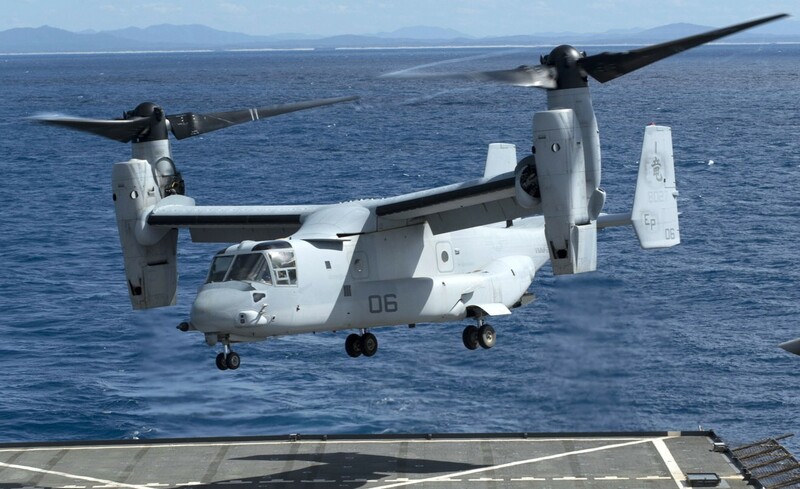 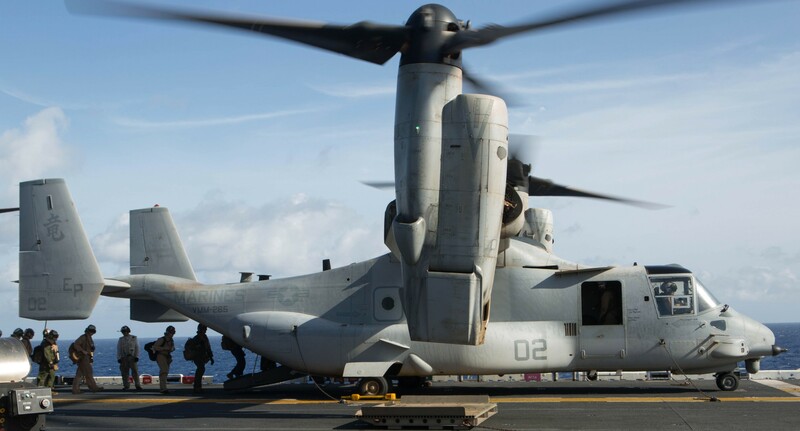 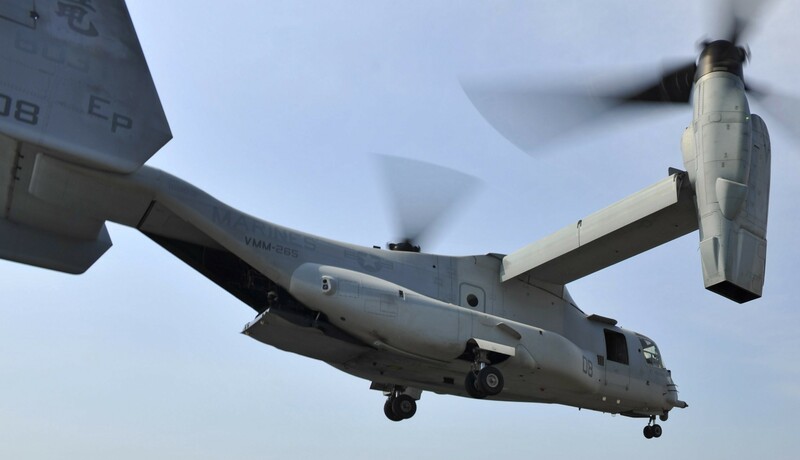 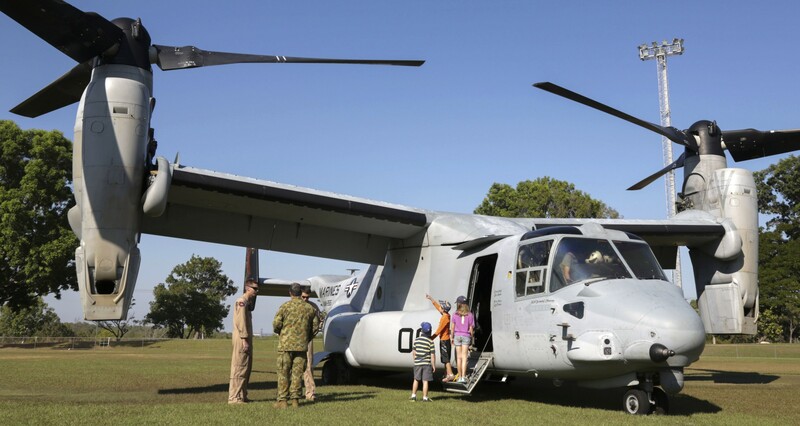 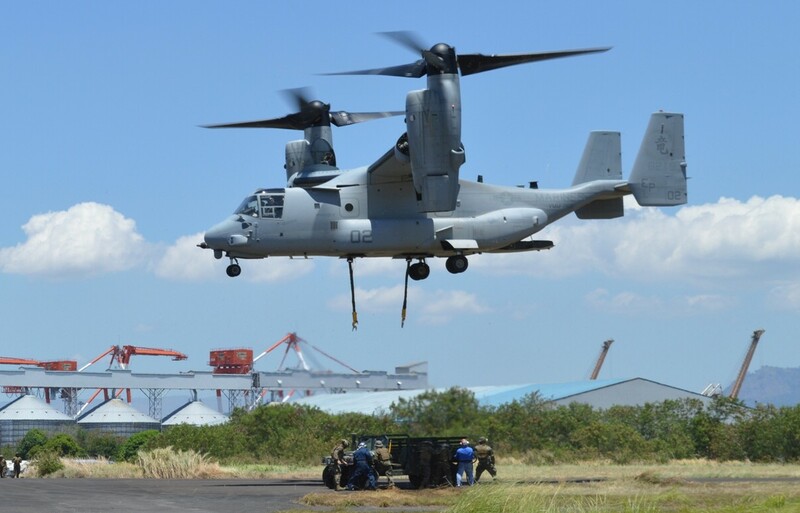 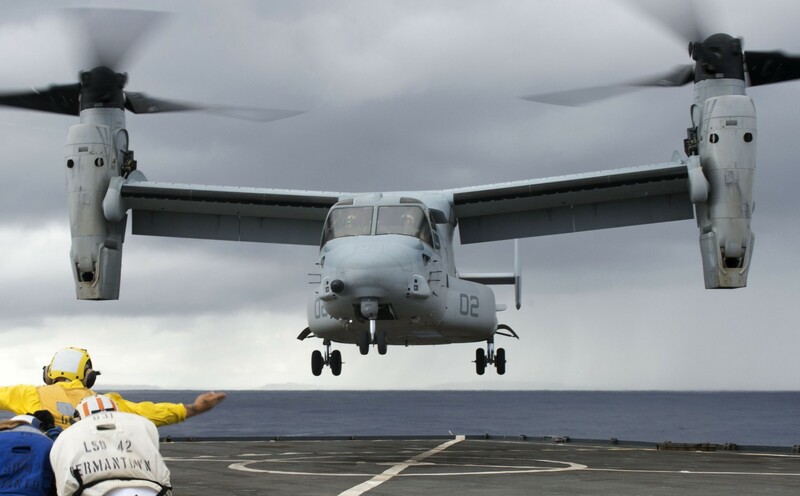 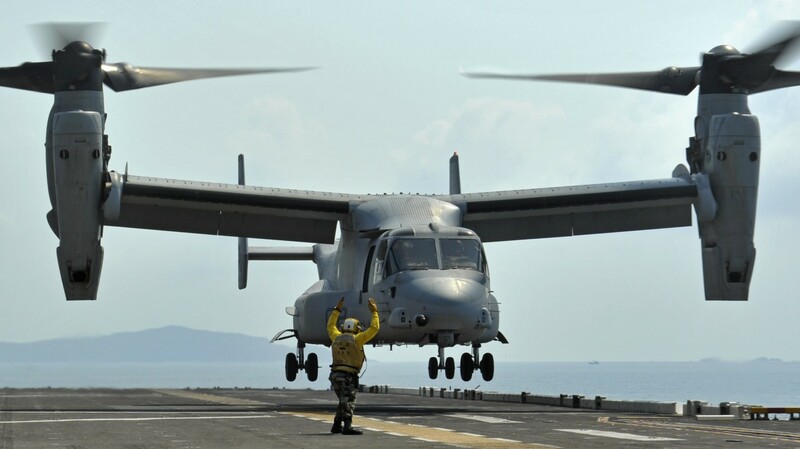 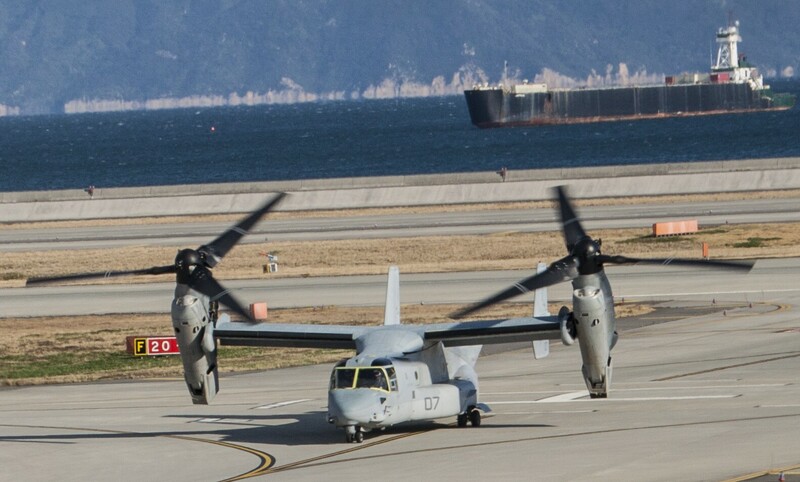 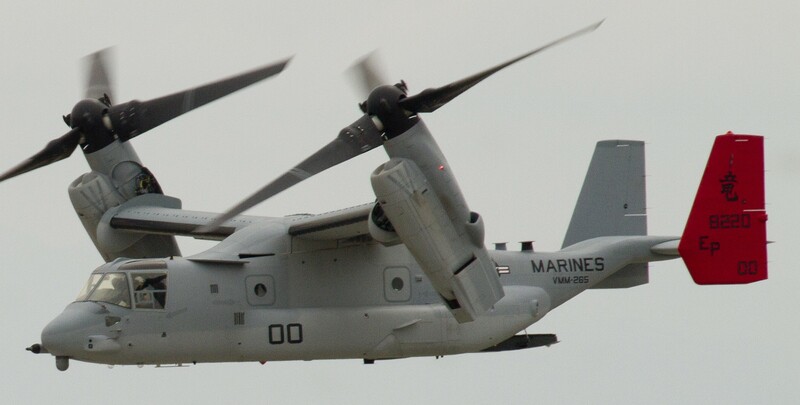 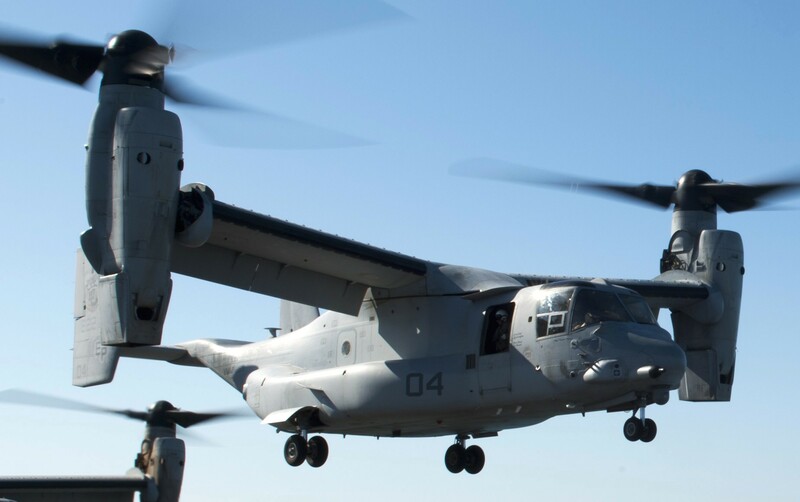 Mid-execution, during a subsequent typhoon in the Republic of the Philippines, 31st MEU reconfigured and the Dragons sent a Heavy Lift detachment to Indonesia to conduct simultaneous HADR operations for earthquake victims. 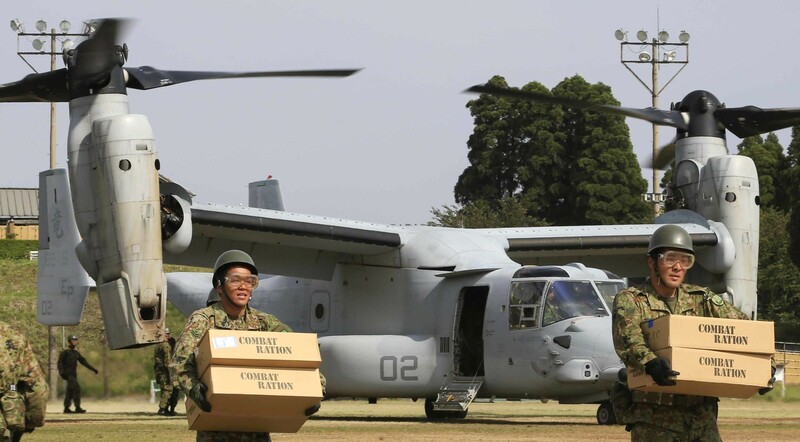 Upon completion of these relief efforts, the Dragons executed exercises PHIBLEX 10 and KITP 2010. 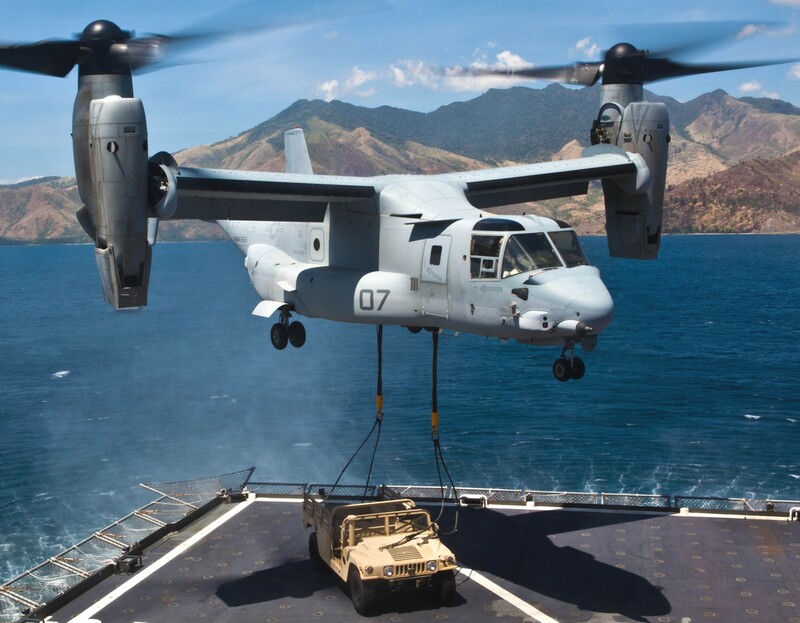 In Spring 2010, the Dragons participated in Exercises Cobra Gold 2010 in Thailand, and Balikatan 10 in the Republic of the Philippines. 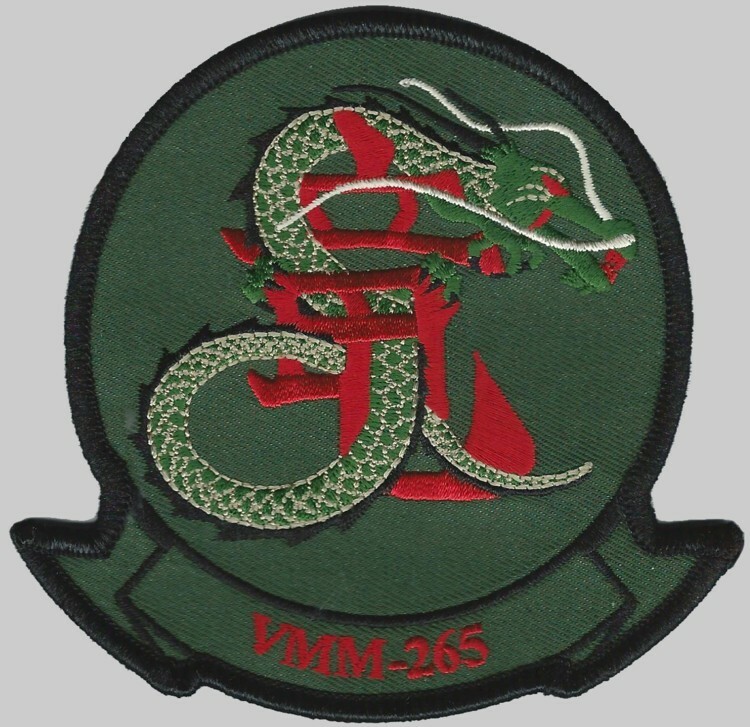 That summer, HMM-265 separated from 31st MEU and returned to Okinawa as a core squadron. 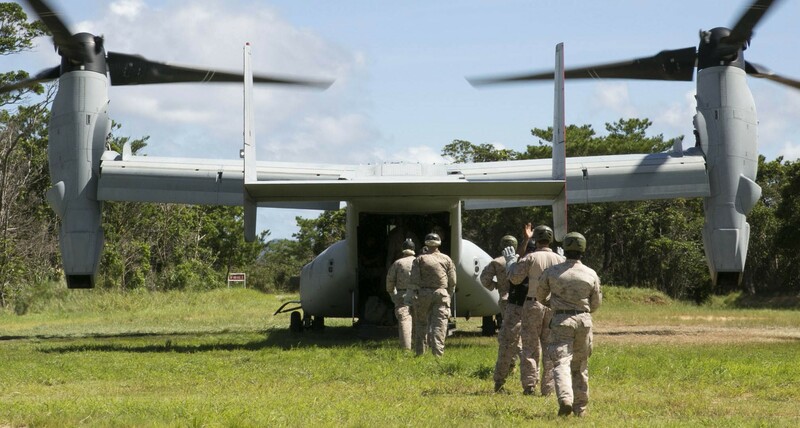 The squadron continued training and preparation for the Philippine Bilateral Exercise (PHIBLEX) 2011. 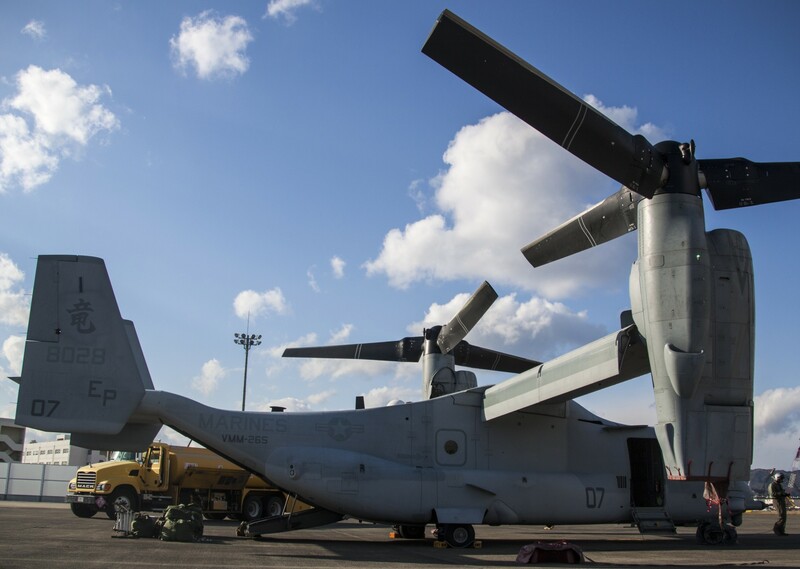 Mid-way through the Exercise, a typhoon in the Pacific once again called the squadron to action. 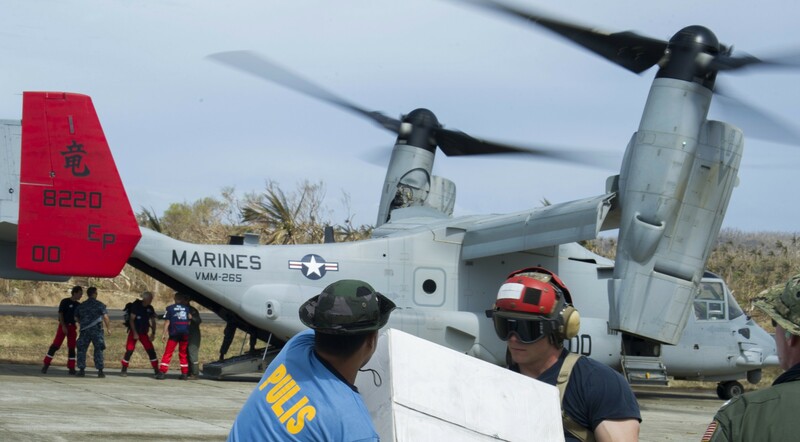 The Dragons postponed training to execute HADR in northern Luzon in the Philippines. 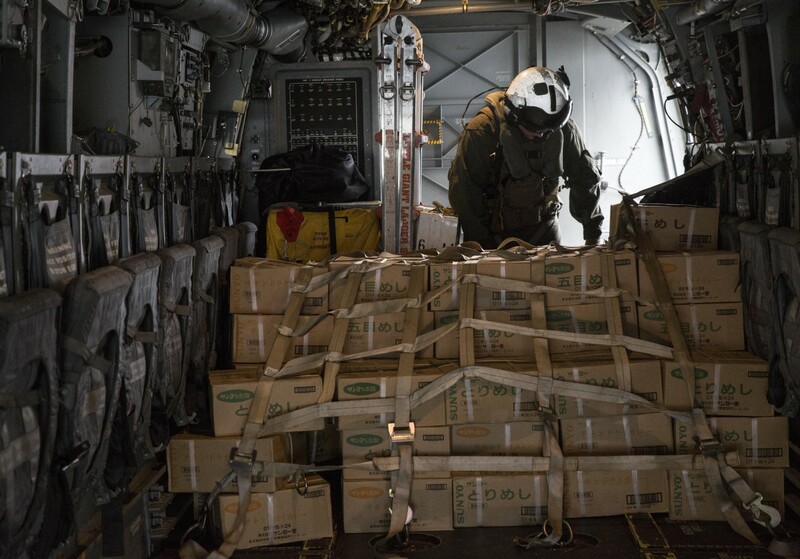 The squadron conducted CASEVAC and moved over 42,000 pounds of supplies to several devastated areas. 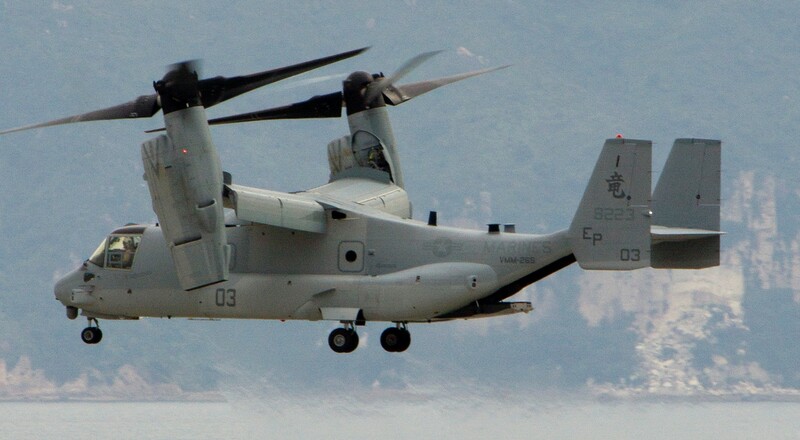 After the completion of PHIBLEX and the follow-on HADR operation, the Dragons re-embarked to Japan and made a quick turn-around to provide air support to the President of the United States during his tour of Asia in November, 2010. 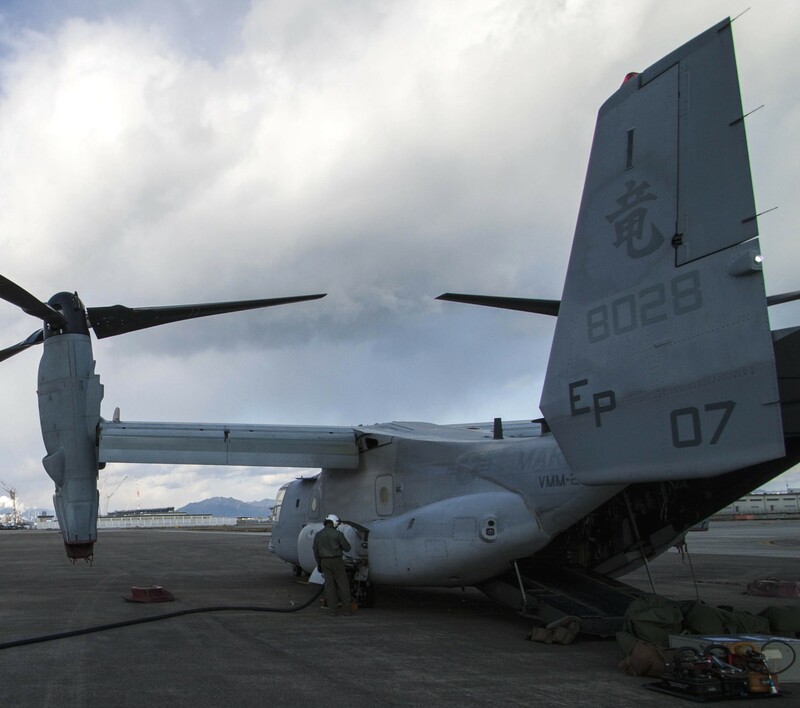 HMM-265 began 2011 with preparations for Cobra Gold in the Kingdom of Thailand while looking forward to rejoining 31st MEU in the Spring. 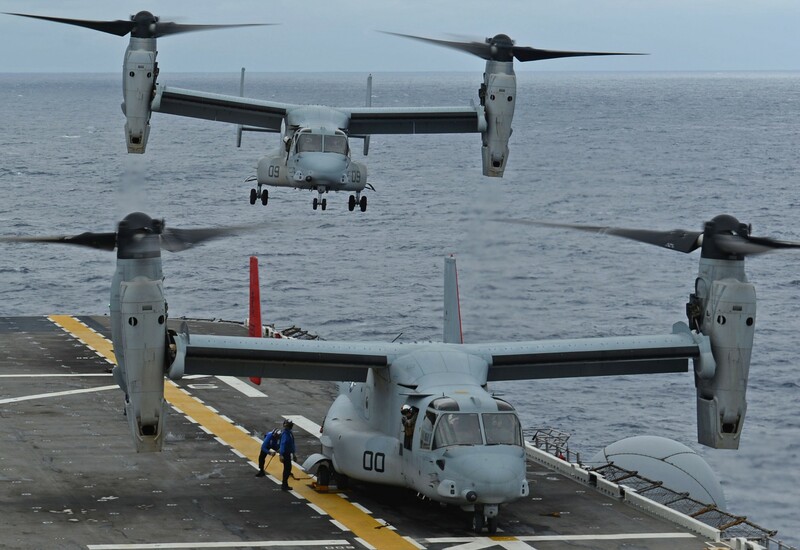 The Dragons tradition of excellence has been recognized by the Marine Corps Aviation Association as the Commandant’s Squadron of the Year for 1992, 1999, 2000, and 2009, and with the Chief of Naval Operations Safety Award for the years 1978, 1979, 1984, 1994, 1995, 1996, 1997, and 2010.